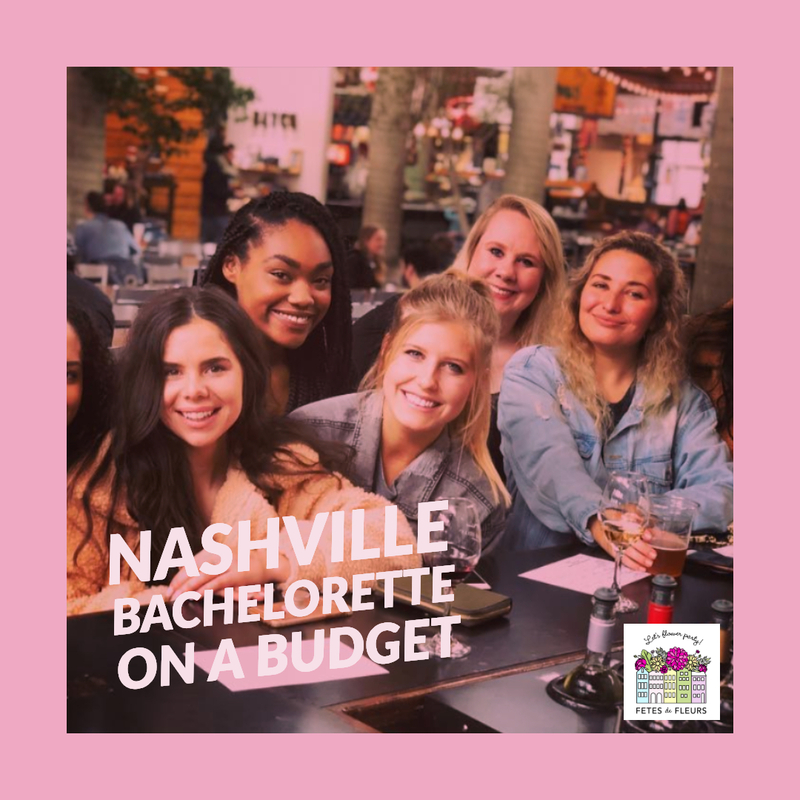 Nashville is one of the TOP bachelorette party destinations in America right now, and the tourism industry is only growing here in our fabulous city! The bachelorette party scene has so much to offer groups coming into town and there’s such a wide variety of activities to participate in. The girls in this group informed me that taking a quiet morning to craft and chat was such a nice change of pace from the activities they were doing the last few days, and they were so excited to wear their flower crowns out that night. Flower crowns really are the perfect way to create a unique look with your group when you are looking to plan a night out on the bachelorette party weekend where you match outfits or looks. We all know that for most bach weekends there is at least one night where you talk about the bachelorette party outfits and what you are going to wear as a group. Flower crowns can make for a really cute addition to your bachelorette party looks! Alex, the party coordinator of this bachelorette group, asked specifically for colors coordinating to Kira’s wedding colors. We love when bride tribe's do this and request colors that match the wedding colors for the bride to be. Makes the flower crown workshop even more special for the bride to be by incorporating the colors of the wedding to be. I was so excited to see these color suggestions for flowers because they’re absolutely my favorite color palette for pretty much anything I’m designing or styling. I was able to pick out some really beautiful flowers with the help of our local flower wholesaler. Alex also requested plenty of greenery, as some girls were looking to make some very subtle and delicate crowns. FYI: in the party planning process with us we will ask you about your group and what colors you would like. We try our best to source flowers and colors in line with your requests always. I was so excited she loved my color choices for the flowers. These were the prettiest carnations I had ever seen. I reminded the girls that since they were taking them home on a plane, some of the flowers would be more delicate than others when you’re trying to transport them. I also gave them some tips on preserving their flower crowns when traveling. We love how our flower crowns dry out. You can take real flower crowns and hang them up on the wall on a nail or on the side of a mirror to dry out. 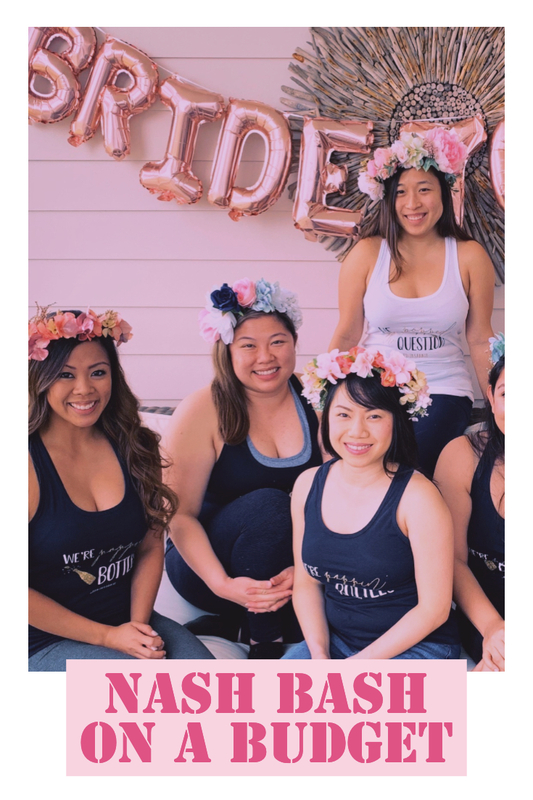 Flower crowns look beautiful dried out and can be a great way to give the bachelorette party group some bachelorette favors to go after the weekend ends! Special gift from the weekend to take home and enjoy after the celebration ends. The girls were a little tired after a couple nights of enjoying Nashville and each other’s company, and were initially very reluctant of their crafting skills with the flower crowns. Of course I broke everything down step by step, and explained to them my rules for flower crown making. 3. Be kind to yourself! A lot of them were struggling with the third rule at first, but I reminded them often that they are their own worst critic, and was shocked at how hard they were on themselves because their flower crowns were looking amazing from start to finish! First, we made our flower crown bases to fit each of our heads and the ideal desired fit. Next, I had the group pick out their greenery, then we worked on attaching the greenery onto the crown. I was happy to advise the group when girls pulled up photo inspiration or had questions. Then everyone picked out their flowers and we went over methods to attach flowers to the flower crown. The waxflower and peach roses were a big hit among all of the gals! A lot of them had never worn flower crowns before and were having fun styling their hair with the crowns and experimenting with different ways to wear them! So fun to see what each person does in a flower crown workshop because their own personality and style tends to come out. I had so much fun with this girl gang from Arizona and was so happy they had a blast too! They all were flower crown pros by the end of the workshop and I was so impressed with their crafting skills. Alex told me the crowns were a hit when they went out their last night in Nashville and I was thrilled to help add some adorable photo-worthy crowns to their weekend. 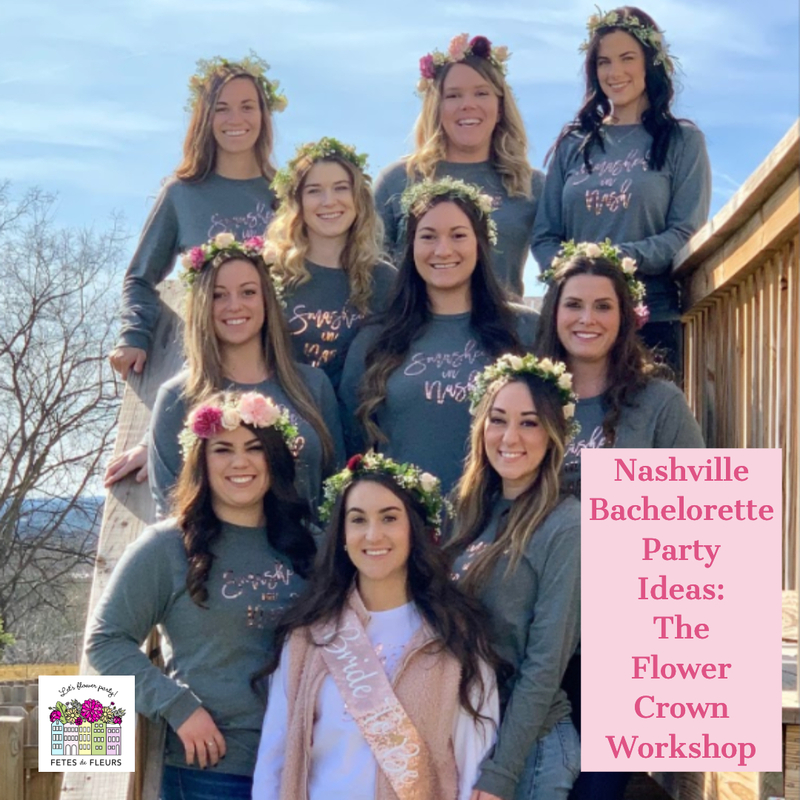 If you are interested in learning more about our floral workshops like the flower crown party for a Nashville bachelorette party you can fill out the form on this page. We can't wait to help you have some floral fun on your Nashville girls weekend or a bachelorette party in Nashville. Most things that you see pinned on Pinterest and that have been uploaded on Instagram with hashtags are old ideas and not always super updated with the latest and greatest that is going on in that city. Have you noticed that as well? We hope that we become a place that you will follow for cities that you take bachelorette parties in or girls weekend trips so that you know what is cool in those cities. 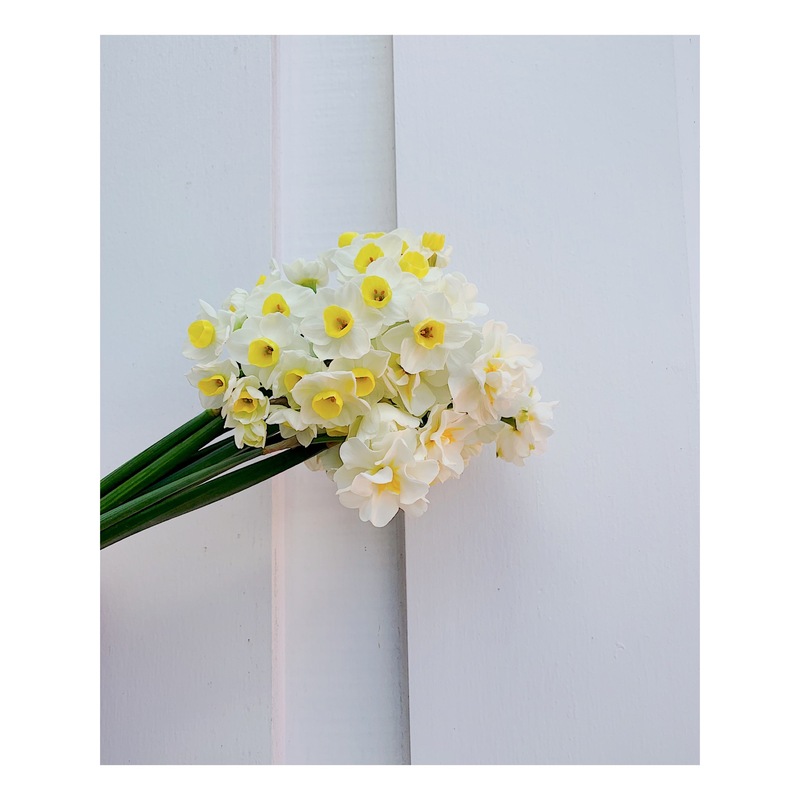 We are trying our best to stay on top of what is cool in Nashville and all of the cities that we have flower parties/workshops in so that you get the best information possible that is the most up to date that it can be. That way you will always know what to consider when planning your bachelorette party weekend or girls weekend away. (Of course we want you to book flower workshops and parties with us - but we also want to be a source of quality information for your trips with your girlfriends). Every time I go on Pinterest or even google "bachelorette party X city" - the things that come back are all from like 2017. Just old information and we think that information could be better. 2. Here's the cool stuff to do in that city, here is what to see, what to eat, drink and do. That's it- one stop shop for all quality content and things to do in the city that you are planning a trip to with your bride tribe or girlfriends weekend. 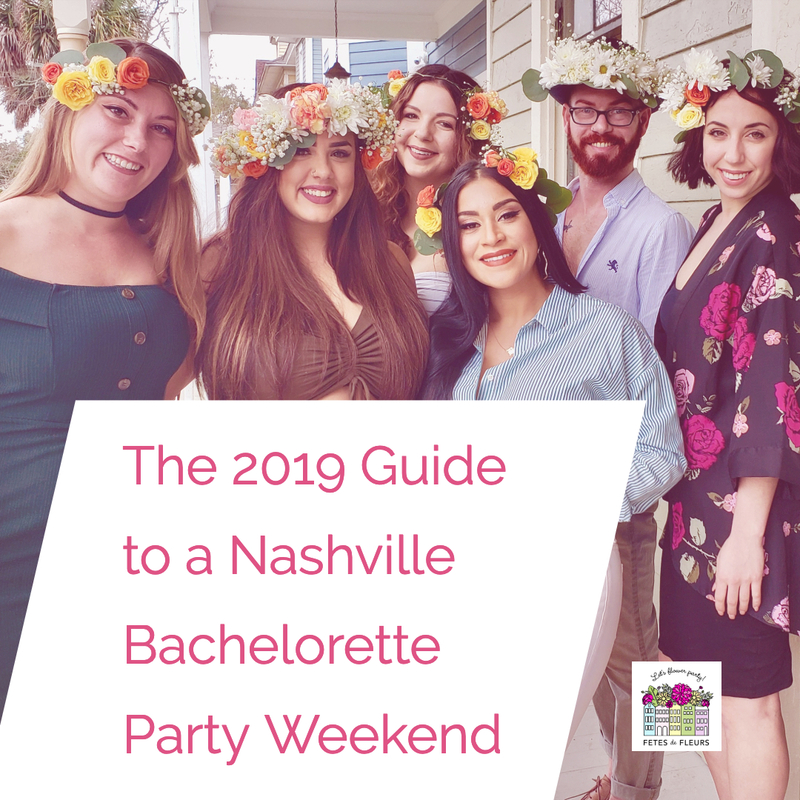 Be sure to check out our 2019 Nashville bachelorette party guide here. We list out all of our favorite things to do, places to eat, what to drink and what to do there on that guide. 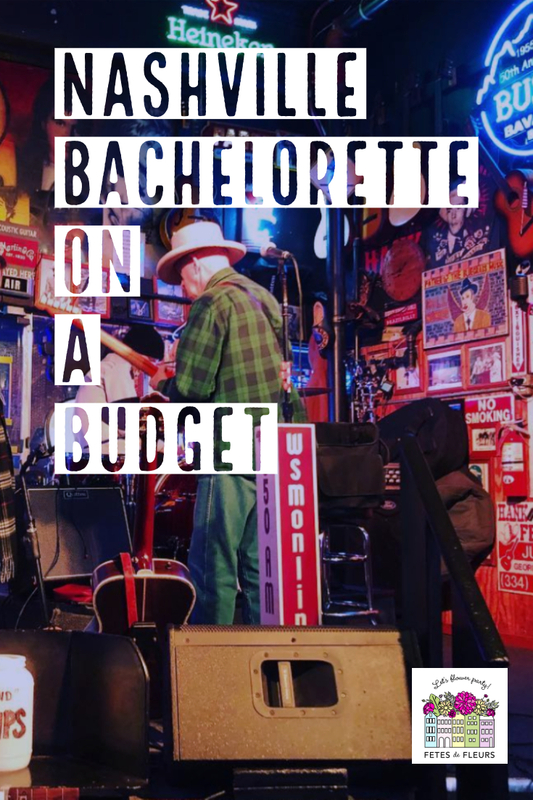 It links to all of our past blog posts about all things Nashville for planning your bachelorette party in Music City. 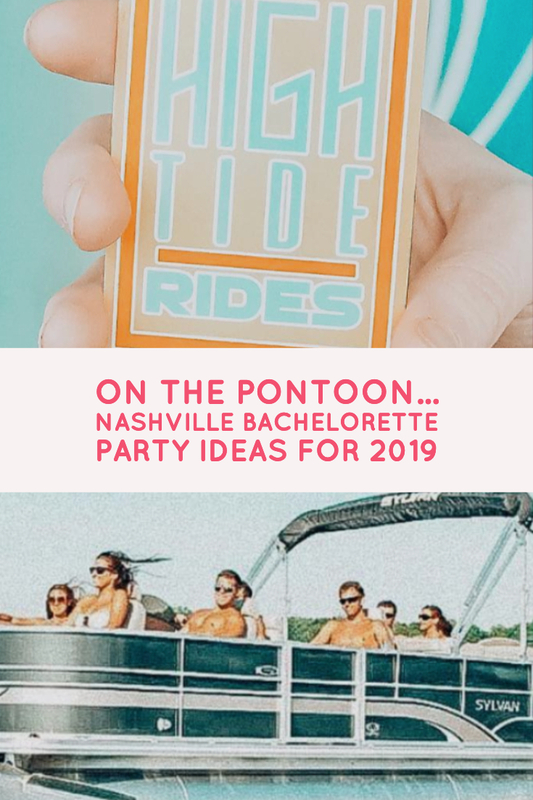 Here are some of our favorite things we have been seeing that look fun and unique for 2019 Spring and Summer bachelorette parties in Nashville. Rent a private chartered pontoon boat for your group. This is a unique and different way for your bride tribe or your girls group to see Nashville. 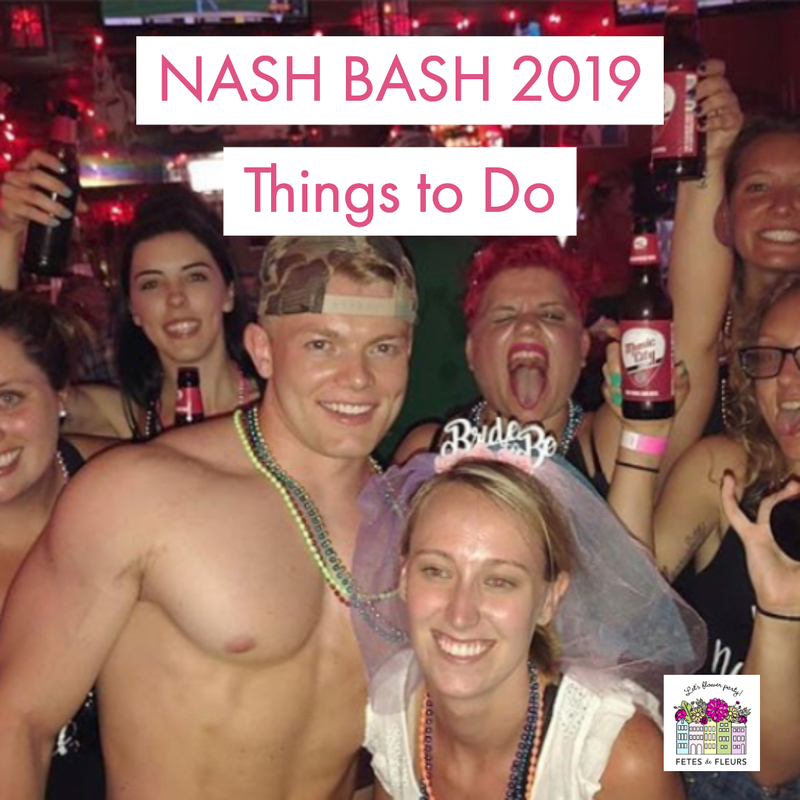 They have super fun options for your NASH BASH to do while out on the water including things like a lily pad, intertube rides, wakeboarding, ZUP, and inflatable beer pong tables for the water. This sounds like a perfect option for Spring and Summer bachelorette parties in Nashville. Water, rose and flower crowns- we are in! Maybe you got to Nashville for your weekend and realized you are pale AF. Okay, ladies, get in formation and just get these girls out to your airbnb or hotel to get your tan on quickly. A mobile spray tan takes NO TIME at all. Literally they come into the house or hotel room and setup quickly - get the job done and then you are ready to look cute as ever out on the town for your time in Nashville. 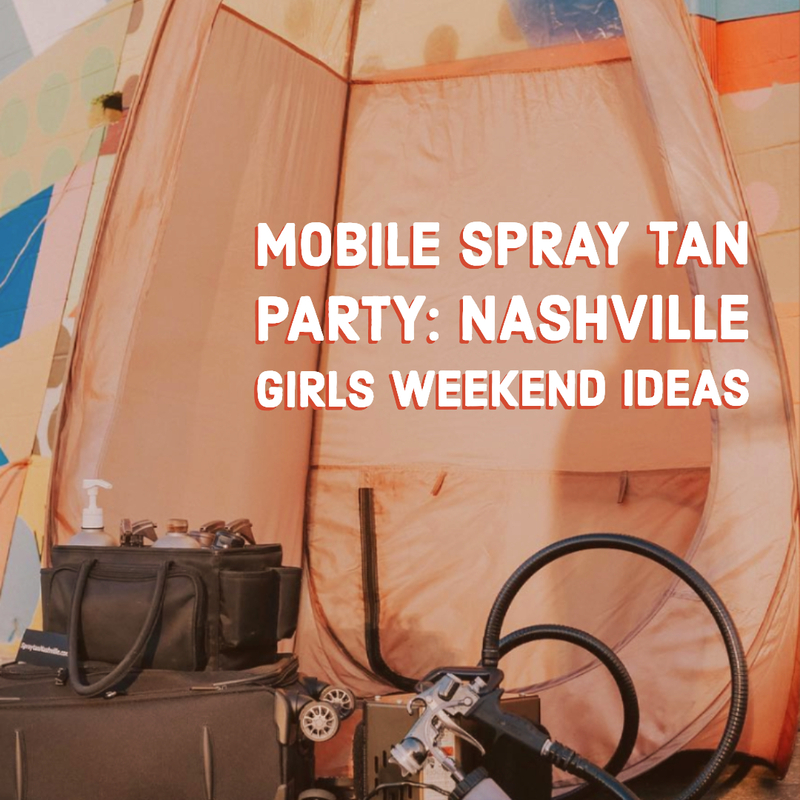 Check out their INSTA here to be inspired about making sure you plan a custom spray tan party as part of your weekend in Nashville. Okay, we know we are TOOT-TOOTING our own horns here. 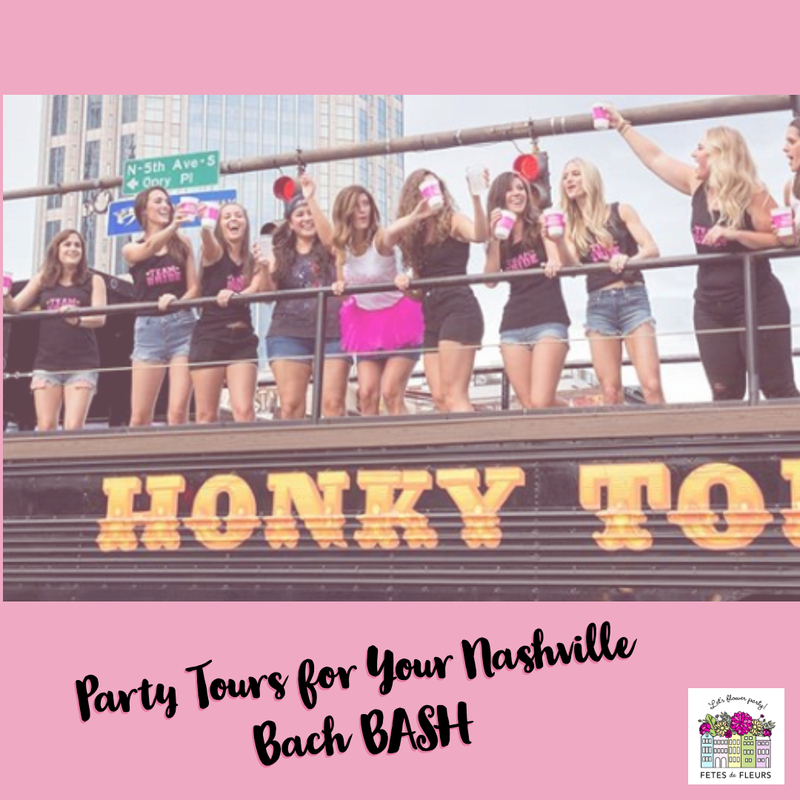 But, hey what else can we do- we actually do think we are one of the coolest activities that your bach bash or girls weekend group can do in Nashville. We come to your hotel or airbnb or location agreed upon when booking to setup our signature flower bar. Your group picks their flowers and greenery (flower market style) and then we teach your group how to make flower crowns. 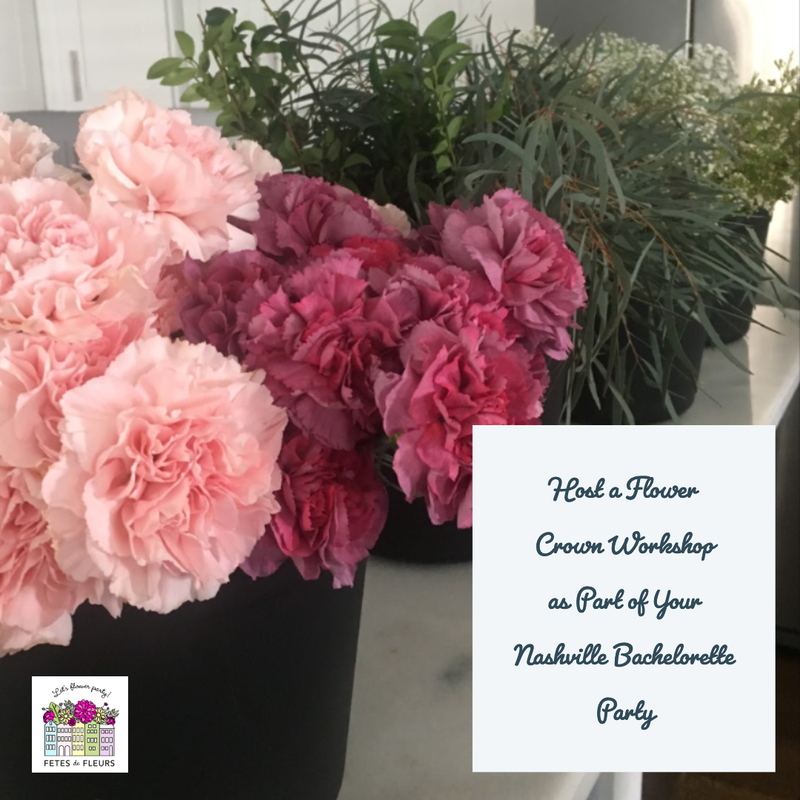 This is a perfect addition to a bachelorette party in Nashville or a girls weekend if you are looking for a girly, floral activity that doubles as a gift from the weekend there. You will learn a new skill including flowers as well as have the best, most girly time ever. Because let's get real - what's better than flower crowns on a girly weekend away? Then you can wear these flower crowns out and about on your weekend here in Nashville. This might be the hottest party bus in Nashville. I mean the name of this bus cracks me up instantly. 240-HOT-HUNK (that is even funny, their phone number). You can check them on Instagram here. They apparently have hot male dancers on board and pick you up for your ride around town from 3rd and Broadway. 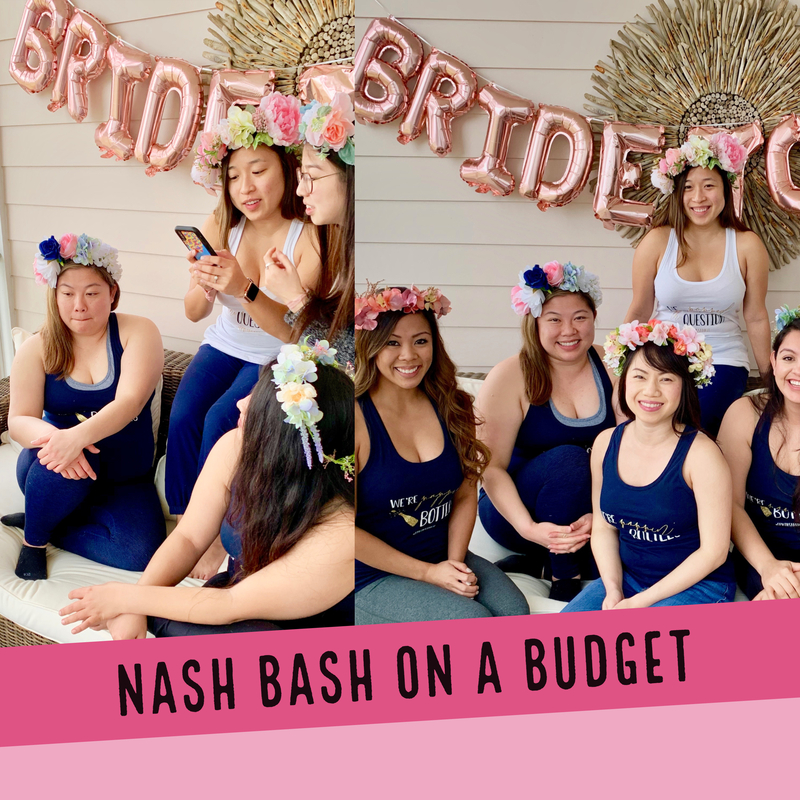 What a fun way to get around town and make your bride to be laugh! This is a new boutique that has opened up a pop up experience shop in certain cities around the US and thankfully they have one that is up in Nashville! 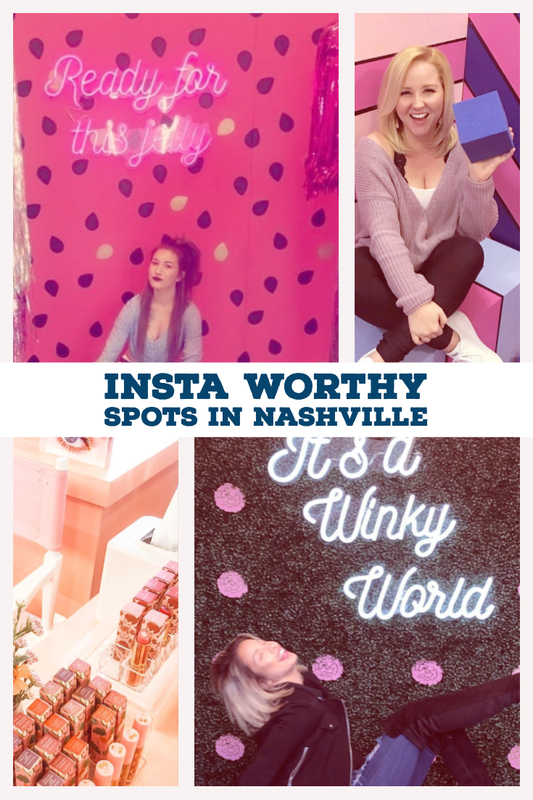 Winky Lux opened it's pop up experience in Nashville on March 5th, 2019. They have a lounge and experience room where you can celebrate their unique and colorful products all while making some magical, colorful, makeup moments with your Nashville bachelorette party. For questions, please contact: expnashville@winkylux.com You can also check out some photos from their Nashville experiential pop up here on INSTAGRAM via their hashtag #winkyluxnash. Yes it definitely is a winky lux world and we are DEF (so in) for taking photos trying on makeup in front of that flower wall, ladies. There are plenty of instagrammalbe options just in this store alone. This is an aerial boutique located in the heart of Nashville. We love when there is a convenience factor for our bachelorette parties. If you are planning a fun night out with girls while in town or want to get your dance on while celebrating your NASH BASH we think this might be a perfect option for your group. Check out their party packages here on their site. Check out Miss Fit Academy on INSTA here. Alright next time I am in Nashville I am doing this. 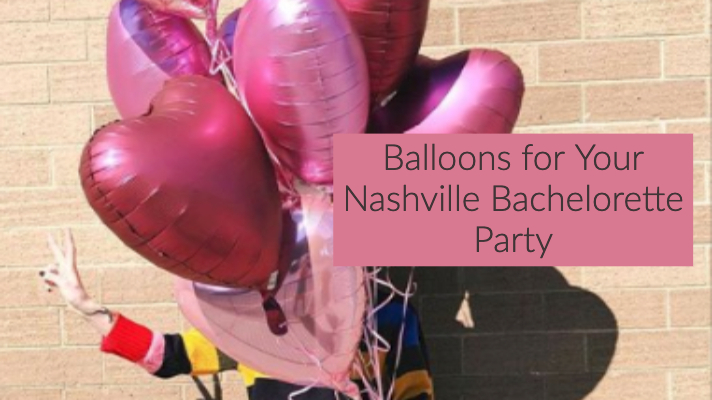 This looks like maybe one of the funniest/fun things that we have seen lately for Nashville bachelorette parties. They are Nashville's #1 HOTTEST male revue/burlesque show. The bride to be is always free too which is super cool. Costs up to $35 per ticket - so pretty good price point if you ask us. This is led by a performer from Magic Mike XXL- so you are for sure going to have a blast and get the real deal thing. Meet the hotties who will be performing for you here. Check out their HOT to TROT Instagram here. Nashville's premier bespoke balloon stylist. We love a good balloon garland or balloon wall art for a girls weekend or bachelorette party weekend. These always make for a perfect backdrop for your weekend photos. You can check out their menu options here on their site which include everything from one off balloon buying to accessories and tassels for your balloon fun. 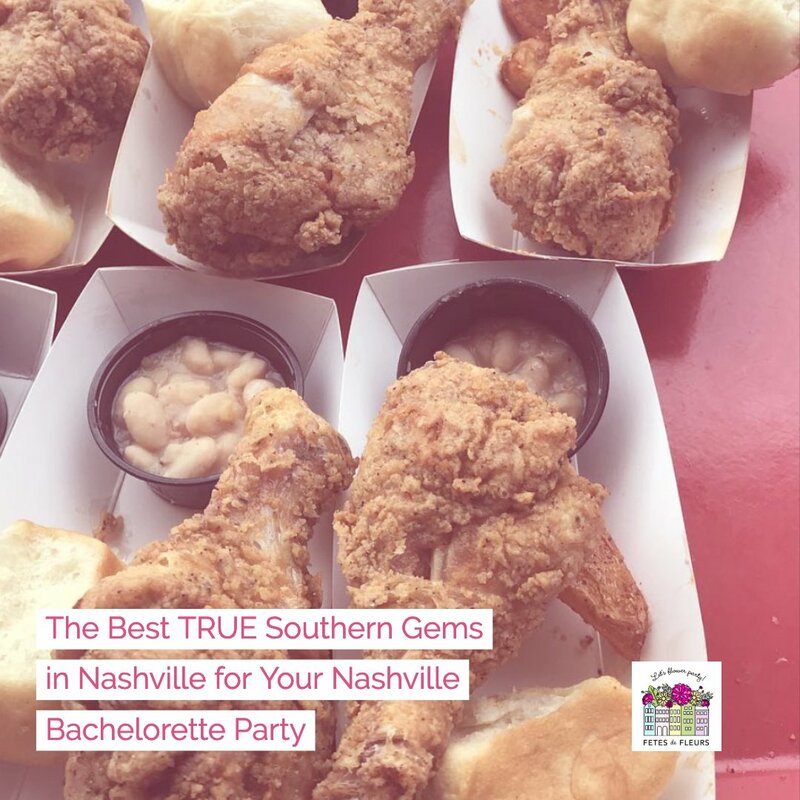 Want some cute ideas for your bachelorette weekend in Nashville - check out their instagram here. Looks like they are only on INSTA. I cannot find them online or with a website so maybe just message them on Instagram for now. Their insta is linked above in their name there. :) This is a mobile bartending service by 2 chicks in Nashville. We love this idea. 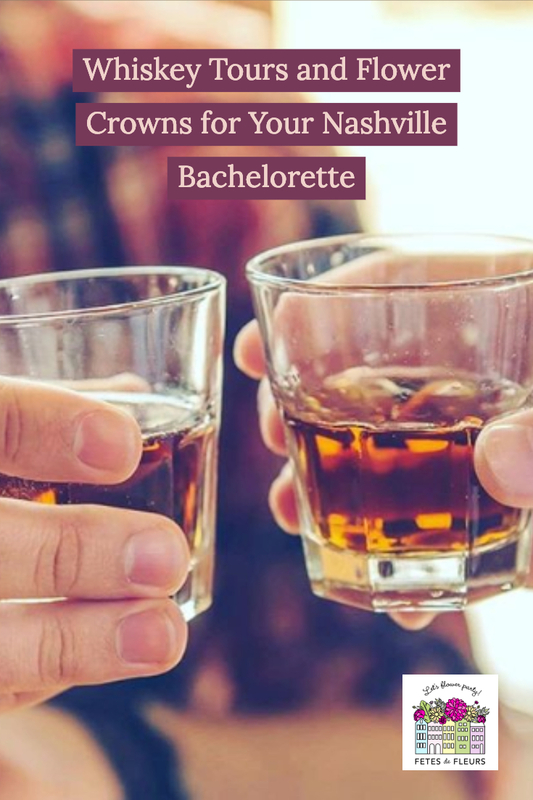 If you want to have fun cocktails at your airbnb as part of your bachelorette party weekend or girls weekend in Nashville this seems like a fun thing to add to the mix or the weekend. We would love to team up for a fun spa or lingerie night in over cocktail making and flower crown partying! 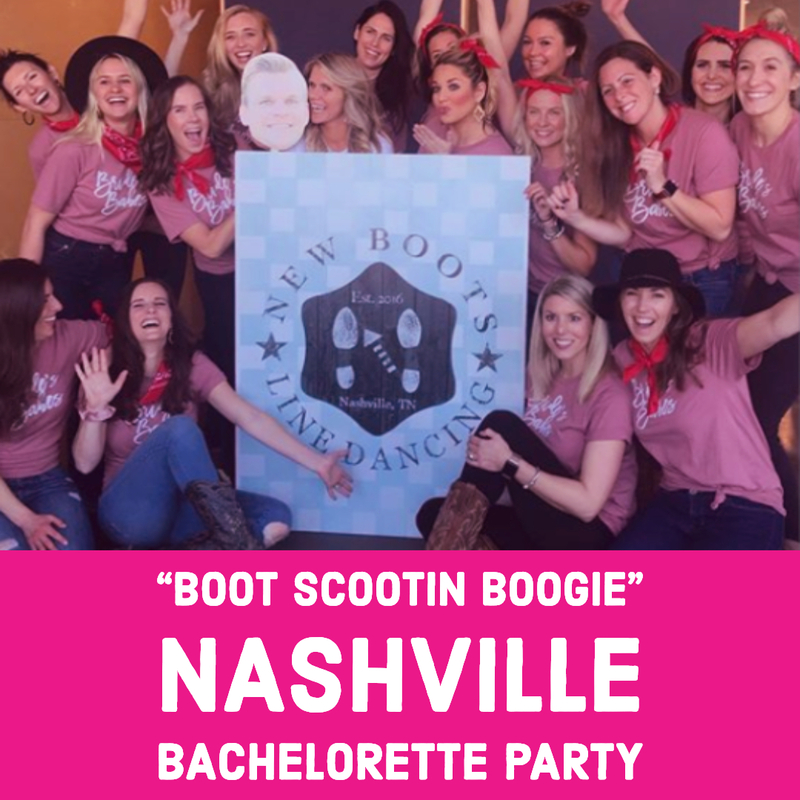 New Boots is Nashville’s newest way to learn to line dance! They are a boutique private class for visitors to Nashville and locals. This seems like a fun and very on point thing to do while visiting Nashville. Who doesn't want to learn how to boot scoot and boogie? I do. I also want to wear flower crowns while learning to scoot. Check out their Instagram here to get pumped up to learn how to line dance while in Nashville. 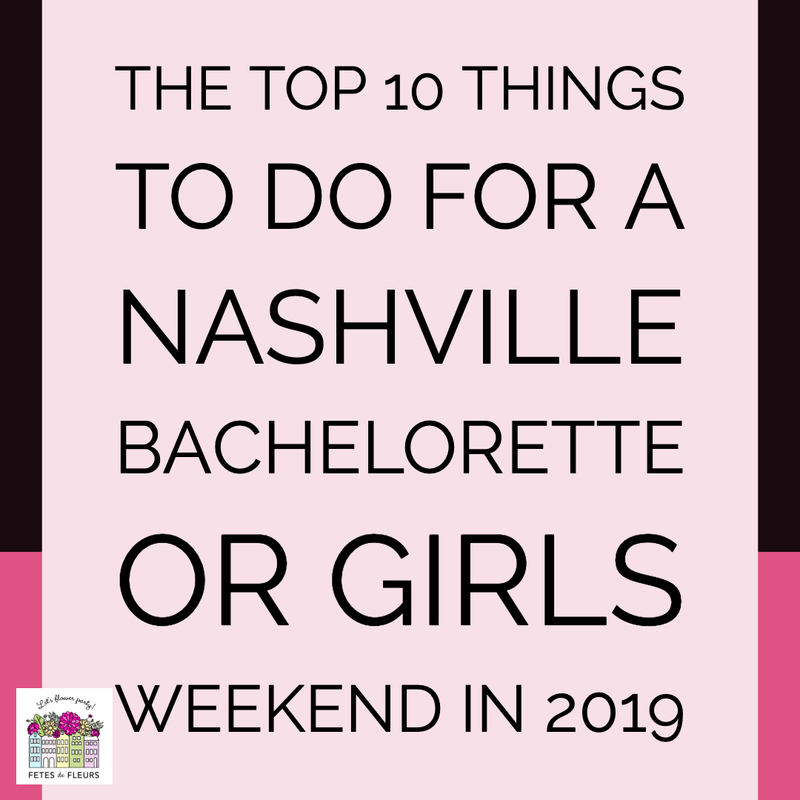 We hope this was helpful and that you are now more excited than EVAAAA to visit Nashville for your girls weekend or bachelorette bash. Make sure you check out what we do too for bach parties and girls weekend trips. We do flower workshops where we come to your hotel or airbnb to host a flower workshop. Most of our parties do flower crown workshops where we bring all the supplies for making flower crowns and teach your group how to make them. We do all kind of floral workshops though so if you want to do or make something else with florals- we got you, girl. You can request more information about how our floral workshops and flower crown parties work for Nashville here. If you’re looking to stay in Nashville and save some money, avoid the high prices of downtown Nashville hotels and opt for an adorable AirBNB in a cute neighborhood. You can rent an entire house in East Nashville, Donelson, or 12 South for the cost of a small hotel room! All of these neighborhoods are walkable, and only a short drive to the heart of downtown. Check out our post about the most walkable neighborhoods in Nashville to give you some good ideas on other neighborhoods besides the downtown area that you might want to stay in. If you like the outdoors, Nashville has some amazing parks that are free to the public! Centennial Park is downtown in Nashville’s West End. It has walking and biking trails and a full scale replica of the Parthenon in Athens, Greece (yes, you did just read that correctly). It’s got beautiful flower gardens, so if you’re visiting in the warmer months, don’t miss the opportunity to take some adorable photos in your flower crowns from a flower crown workshop with us in front of some Tennessee wildflowers! Bicentennial Mall is located near central downtown and is adjacent to the Nashville Farmer’s Market (free to window shop!) and the Tennessee State Museum (also free!). We thought we would tell you a bit about the Nashville Farmer's Market because it is not your typical farmers market that you might be used to. It is an actual space that is year round and houses farmers, artisans, food stalls, etc. that you can shop at or just browse. We love hitting up places like this in any city that we visit. Always fun to see local businesses in a setting like this. This would be a perfect place to stop at to just browse or grab breakfast or lunch in an affordable setting with good food choices. Check out the Nashville Farmer's Market Instagram here. You can also read up on some of the food vendors at the farmers market here. Bicentennial Mall has a full walkable timeline of the state’s history, as well as many cool fountains and monuments that make super cool group photo opportunities! We know bachelorette parties and girls weekend groups love a group photo opp. So get your group together and go on some walks around downtown Nashville without spending tons of money, HONEY! Walk of Fame Park is located in downtown Nashville across from the Country Music Hall of Fame. Take your picture with the stars of some of music’s most well known artists, like Johnny Cash, Elvis Presley, and Dolly Parton! If live music is more your scene, almost all of the bars on Broadway are free if you want to walk in, listen, and dance the night or day away. Most of the popular honky tonks like Robert’s Western World and Rippy’s don’t have a cover, and once you are inside, buying drinks is totally optional! Better yet, wear your best matching bachelorette party outfits and let some of the other honky tonk patrons buy your drinks for you. You will find nice people bopping around the honky tonk area and it is so fun to just bop into some of these places- sing and dance to the music then bop onto the next one. 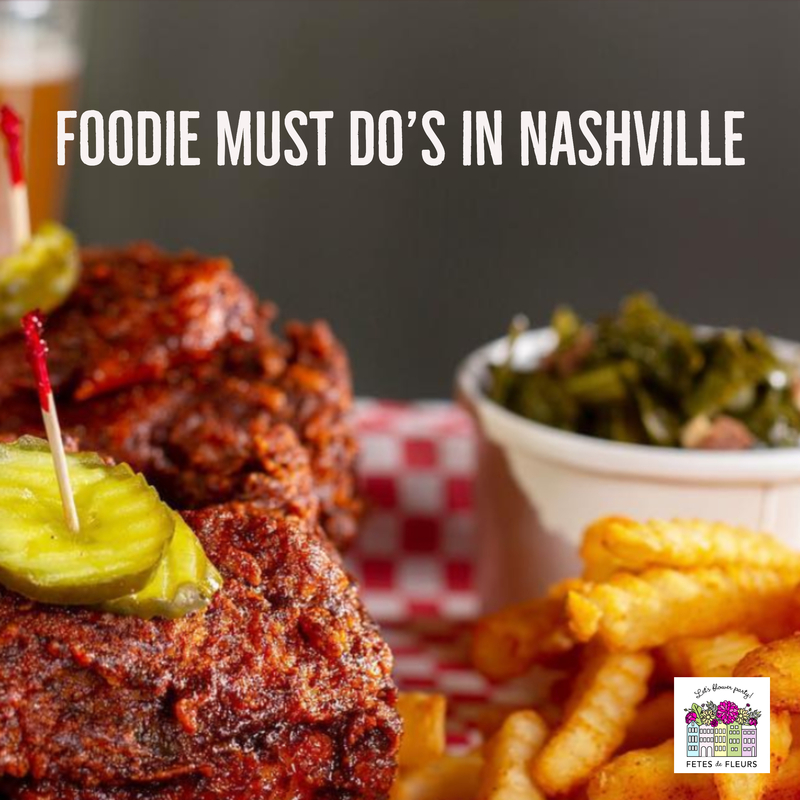 Nashville is quickly becoming a foodie city, but your bachelorette bash can get great eats on the cheap! Two super affordable options are tacos and hot chicken (a Nashville staple). 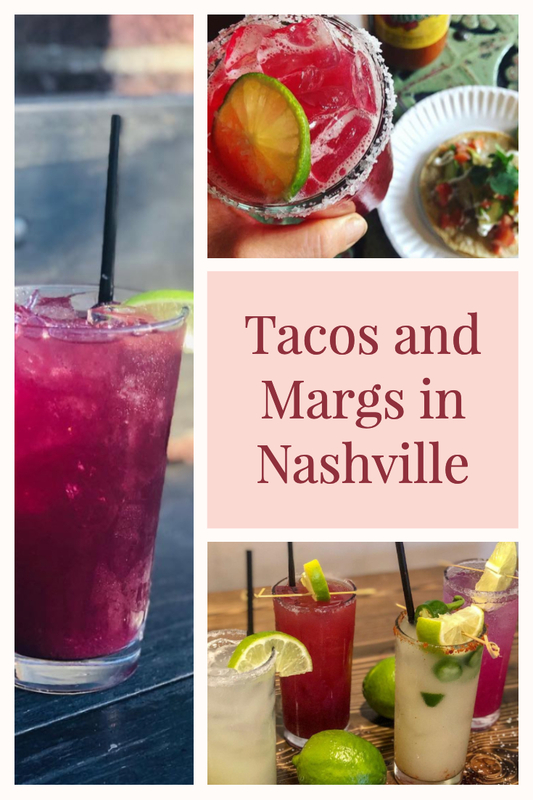 Taco places in Nashville on the cheap but still great! You can have a super filling and TRUE Nashville meal for less than $10 a person at any of the places listed above. We promise you they are very good too and you will be so happy you tried them! If you’re looking for inexpensive drinks, happy hours are your new best friend here in Nashville! 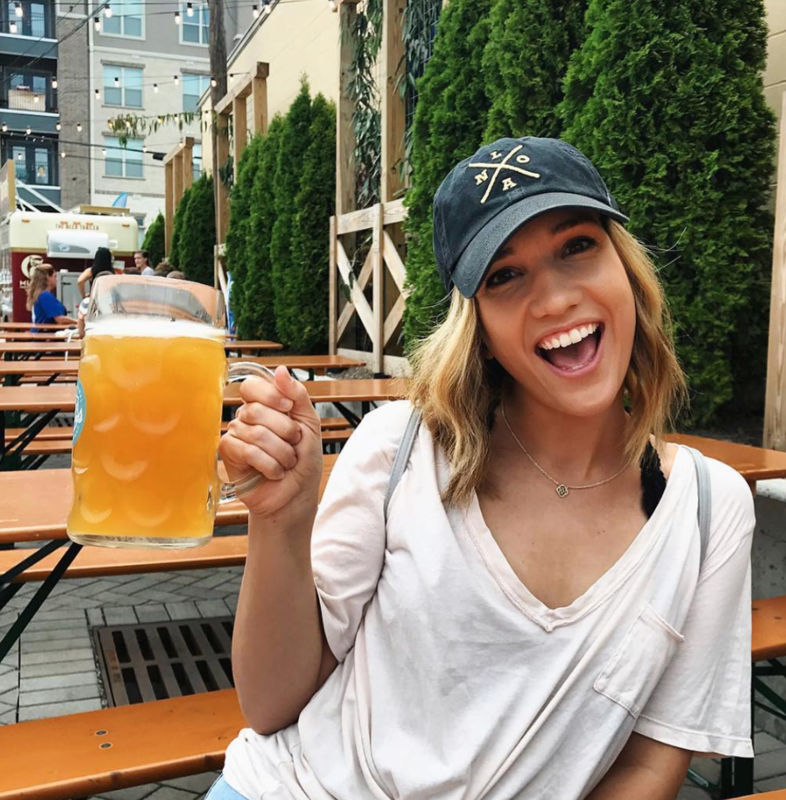 Almost every bar and restaurant in town does a killer happy hour where you and your bachelorette babes can enjoy inexpensive drinks before a night on the town. Two downtown faves of ours with drinks for $5 or less! You cannot go wrong with either of those. Be on the lookout for good happy hour options anywhere you go. 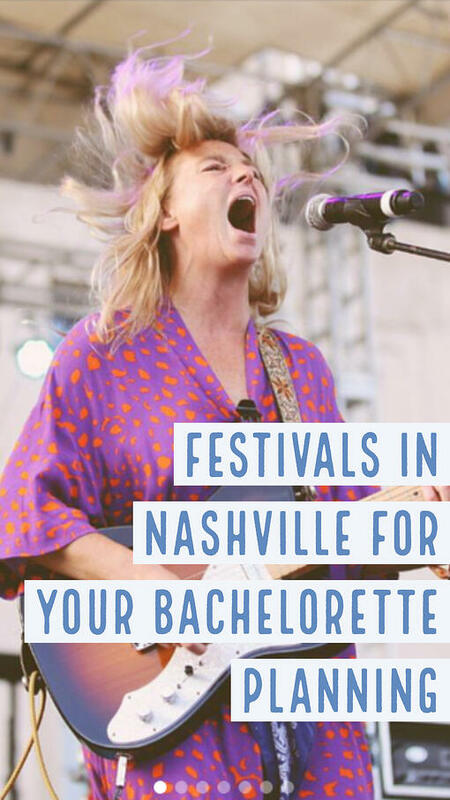 When you’re planning your Nashville Bachelorette Party, always check for upcoming festivals that we might be having. 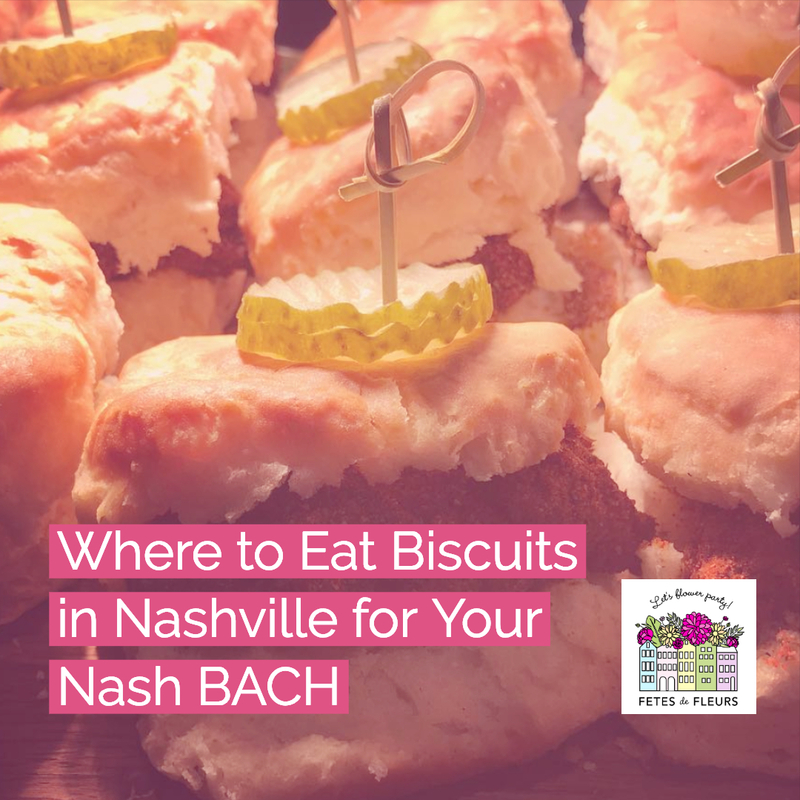 There are free festivals year-round in Music City, and almost all of them would make for a great Nash Bach activity. The two largest are CMA Fest and Live on the Green. CMA Fest is in June and charges admission for the nighttime concerts, but during the day there is a free street festival with awesome music! Live on the Green happens every Thursday night in August and culminates with a blowout Labor Day Weekend festival. No tickets are required and all the music is free! You could spend your entire bachelorette party hopping around a festival in your matching flower crowns and go home happy. Don’t be afraid to just walk around some neighborhoods! Some of the best (free!) entertainment can be found window shopping and people watching. We suggest these Nashville neighborhoods for bopping around in - just walk around and take in the sites. Head into some stores, restaurants or bars - or just take in the sights. Nashville is a college city, so if you still have a student ID, don’t forget it! A lot of the fun museums and attractions (like the Country Music Hall of Fame and the Frist Art Museum) have a pretty sizable student discount if you show them your college ID card. 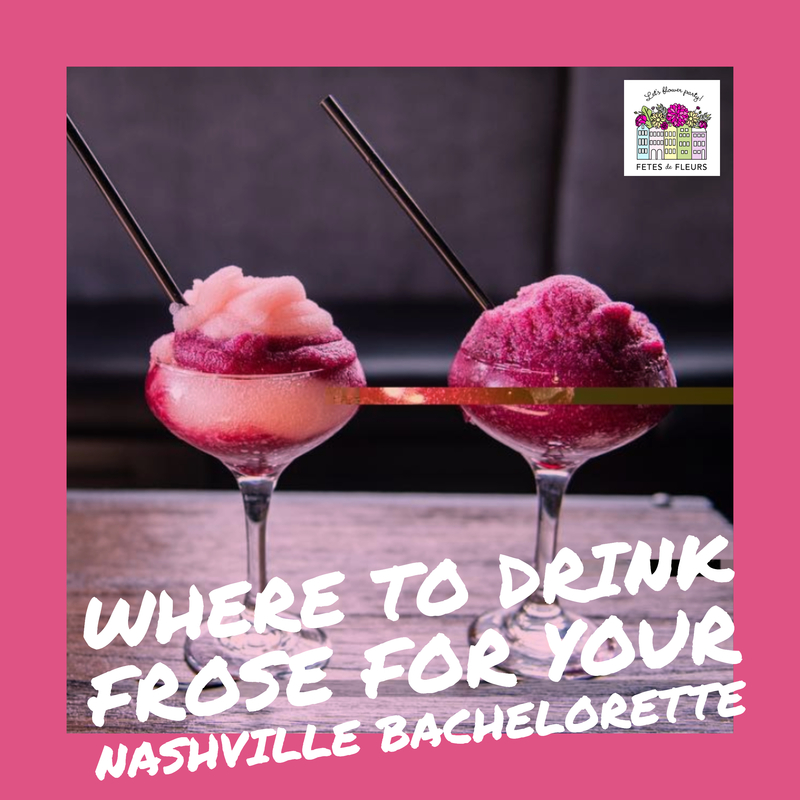 On that page we link to all past blog posts about Nashville and all the things we would recommend you knowing about if you are coming here for a Nashville bachelorette party or Nashville girls weekend. You can always reach out to us at ali@fetesdefleurs.com with any and all questions. 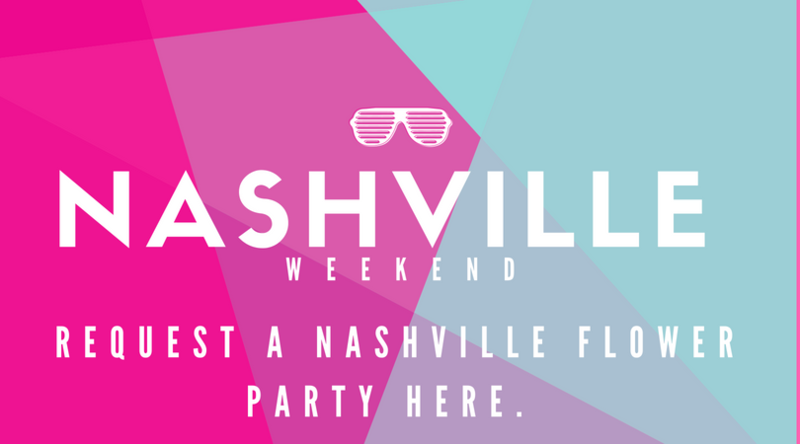 We have 3 flower party hosts here in Nashville to help you with all of your Nashville party needs. We hope you will consider a flower crown workshop with us as part of your Nashville bachelorette party activities. 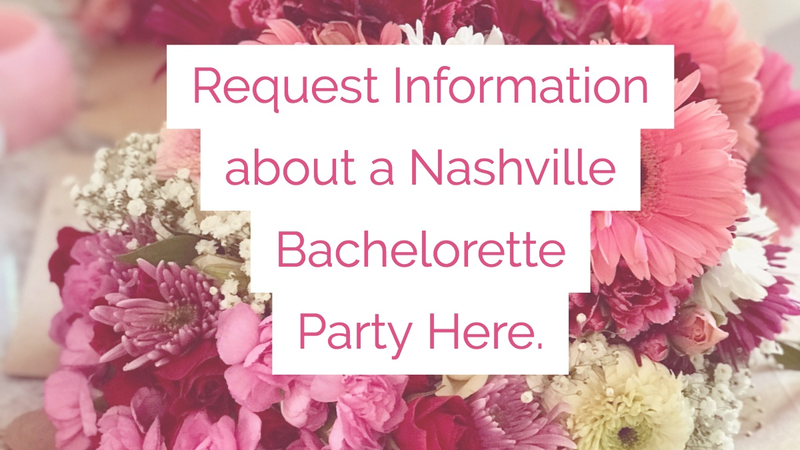 You can request more information on how our Nashville bachelorette parties work here. This place is pretty nice so if you are looking for something a little less swanky this might not be for your group. But, if you want something pretty nice with lots of options by the glass and by the bottle you have a good spot. They also have fun drinks for after dinner cocktails too including some fun negroni options. This is in the Gulch neighborhood. So if you are staying at an airbnb in the Gulch you might want to check this place out. Nashville has a Barcelona wine bar and this is one of my top favorite places in any city that they have this. Barcelona is a staple wine bar in general and the one in Nashville is so pretty and obviously has great wine, drinks and tapas to boot. If you have never been to a Barcelona Wine Bar well you are in for some great tapas, wine and ambiance. They always have the best vibe and decor. Top that with amazing food and wine- you can't go wrong with this place. I love Barcelona for big groups too- you can get rowdy here and the plates are perfect for sharing with your bride tribe. This is in the Gulch neighborhood as well. I love this place. I love wine in general so this place speaks my language. There is a space to dine here as well as a lounge area where you can sip with your girlfriends on some nice bottles on vino. They are known for their wine selection by all the wine magazines. There is also a happy hour on the patio that people folk to. Seems like a great option for your Nashville bachelorette party if you want to enjoy some sunshine in the afternoon over some rose. If you find yourself spending some time in East Nashville I would recommend heading here for some vino before you head back downtown or to wherever you are staying. This is an East Nashville neighborhood spot and therefore we love it. Anytime we pick up on local spots that the locals frequent we know that we will want to go there. We tend to sway towards local spots as we know that means they are good joints. Check out their happy hour menu here. We are all for a glass of red, white or bubbles for $5. Thanks Eastland Cafe for being so perfect and cute for us. Okay, you have probably heard of City Winery before. 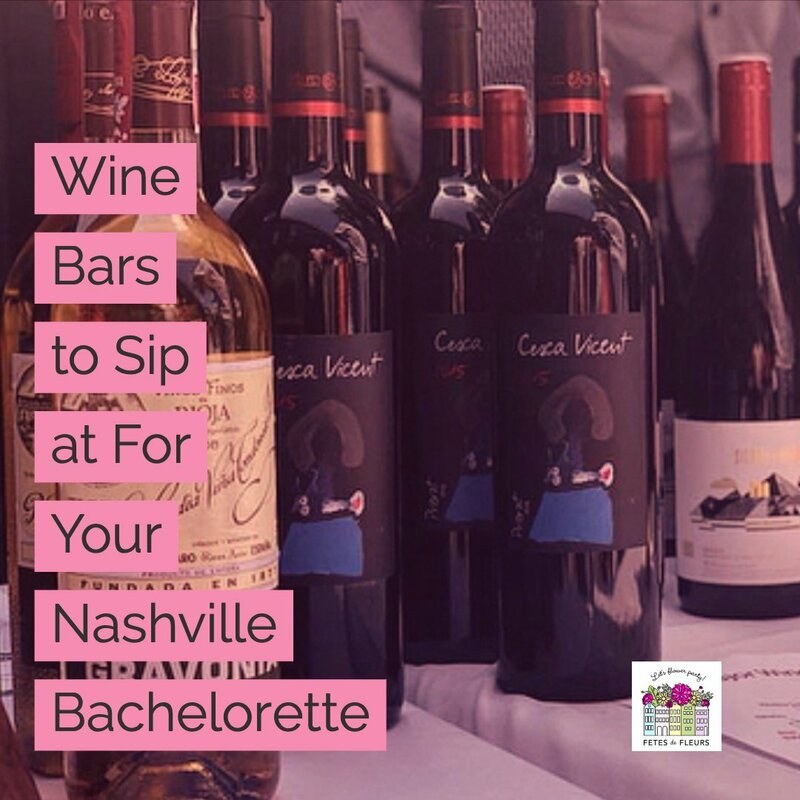 This is not a local place to Nashville but anytime there is a City Winery in a city that we have our bachelorette parties in we know they are good, staple options. So if you are looking for a reliable option then this might be a good spot to spend some time at sipping vino with your Nash Bach. City Winery also always has good bands that you could check out if you want to think about getting tickets to a show while you are on your Nashville girls weekend or Nashville bachelorette party weekend. They also have a fun option to make your own wine or do a tour. This is a winery and event space in the heart of Nashville. It is a mile from downtown Nashville so you can Uber here or walk out here. It is designed in the coolest space- an old, abandoned car repair shop. How cool right? They also have a patio area too if that is more your vibe. 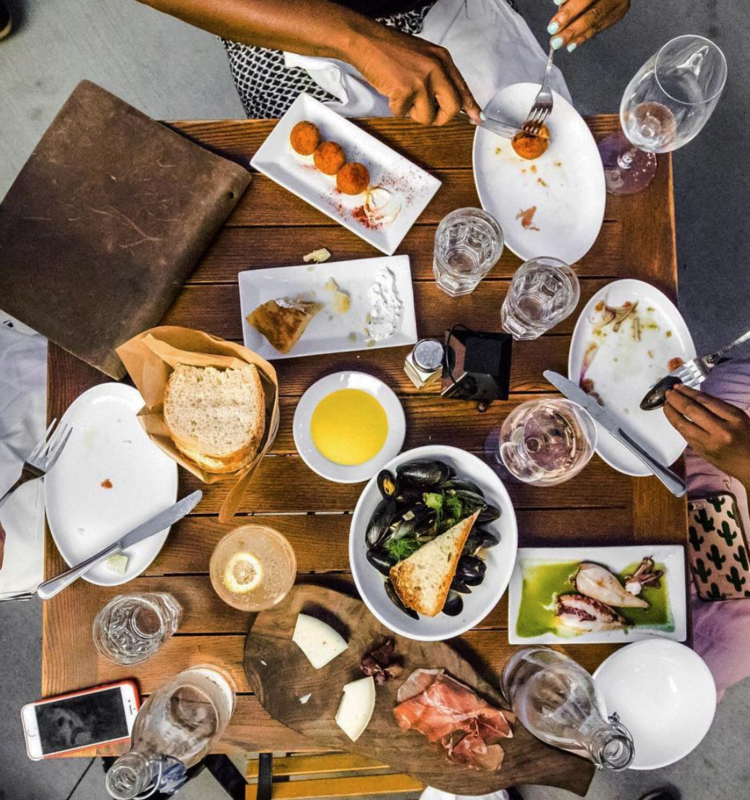 You can get inspired for all of your wine drinking via their instagram page here. Oh and do you like FROSE like we do? You can head here for some really cool, unique Frose options too. We hope you enjoyed this guide to a Nashville bachelorette party weekend. We will continue to add in our favorite places to eat, things to do, where to drink, etc over time as we learn about other cool things that you should know about. 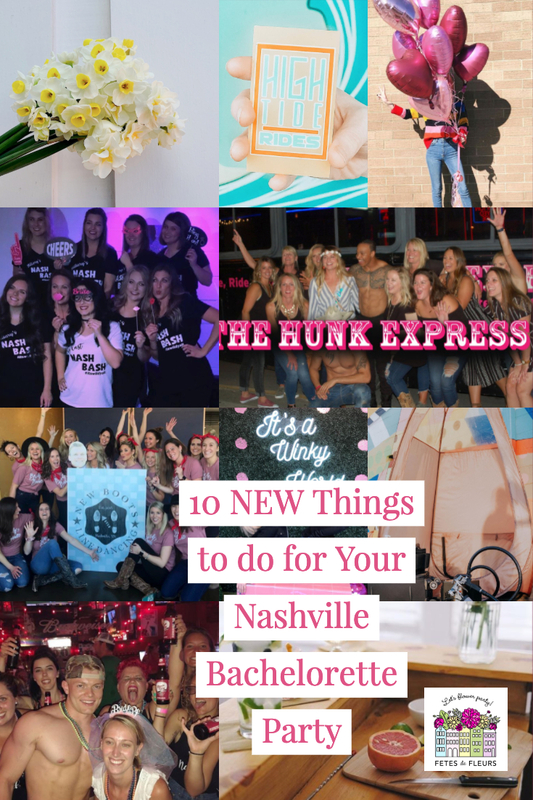 You can always access the full Nashville Bachelorette Party Guide here. 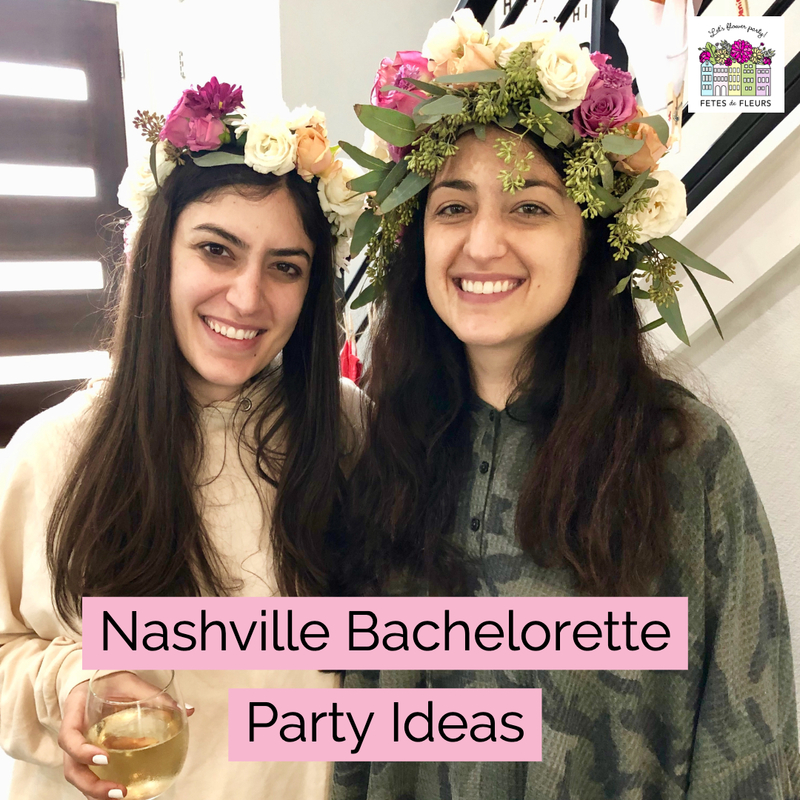 If you are looking for fun and different things to do for activities on your Nashville bachelorette party weekend you should check out our flower crown workshops. We come to your airbnb or hotel to teach your Nash Bach party how to make flower crowns. 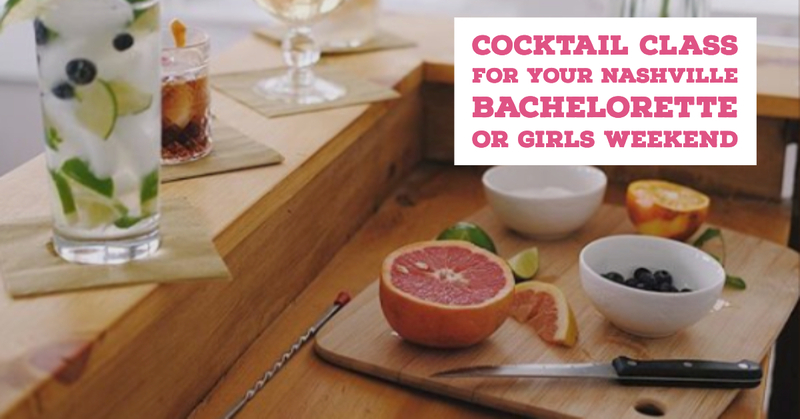 Think a fun, floral activity for your bachelorette group to do. We come to you with all the supplies and fun, then teach your group how to make flower crowns. We also do delivery of flower crowns if you don't want to make them and want us to make them for you. You can request more information on how our Nashville flower parties work here. 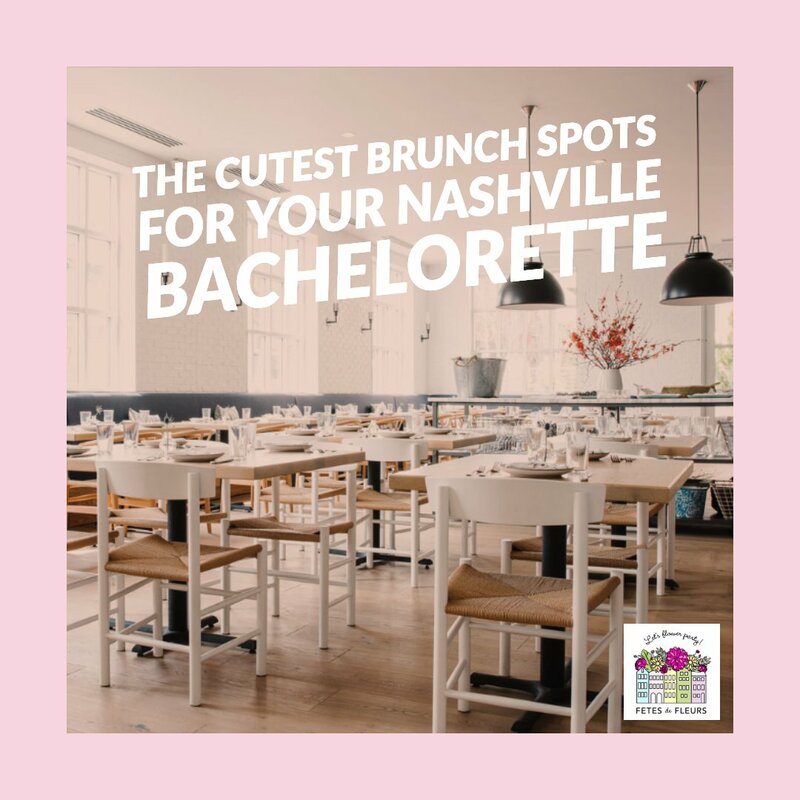 You can also check out our 2019 Guide to a Nashville Bachelorette Party here. Okay, if you have ever been to a BarTaco you know that this is a reliable joint for whatever city you might be in. I love BarTaco because of the decor but just like their decor they have great margs and food for you as well. Anytime you put a marg in my had in a beautiful space well we might be there for hours on hours. You can check out their Nashville menu here. Get a few tacos each and then my favorite drink is the smoke on the water. This is in the Germantown neighborhood which I have said before how much I love that neighborhood. We went here on our last trip too because you can't go to Nashville without stopping in here. Just to see it is spectacular in itself. You will feel like you just left the US and hopped on an airplane to a beer hall overseas. It is the perfect spot to hang out on a sunny afternoon - have food and beers with your friends celebrating the bride to be. Oh, and tons of hot guys too. :) You are welcome. OH and DOGS!!! Super dog friendly place- I know you probably aren't bringing your dog on your bachelorette party but if you want to see some cute dogs, head here. This is also in Germantown. So maybe hit up both if you are feeling saucy and fun that afternoon. I love the little outdoor area here. 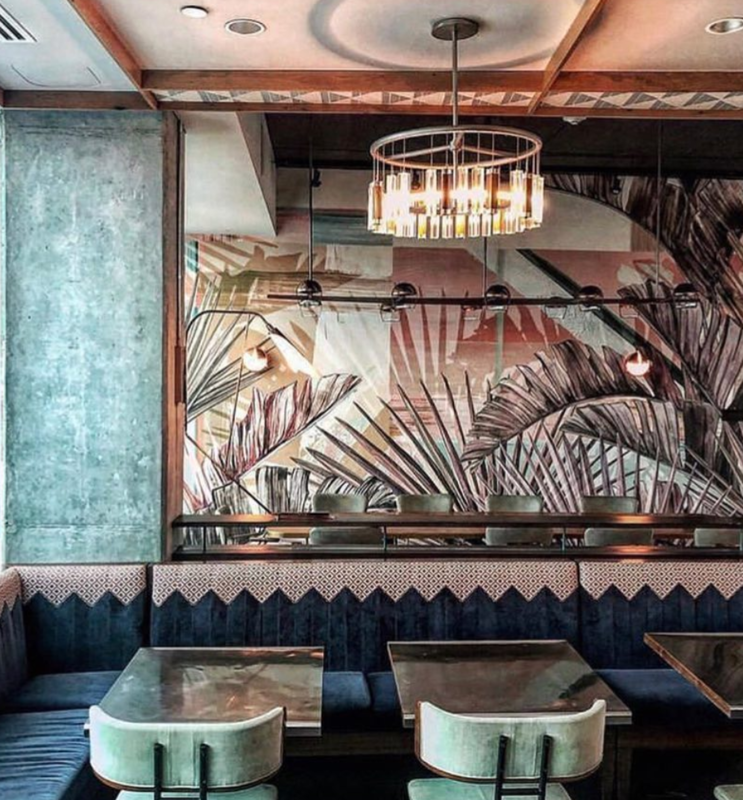 They were named one of the most beautiful new restaurants in America this past year. 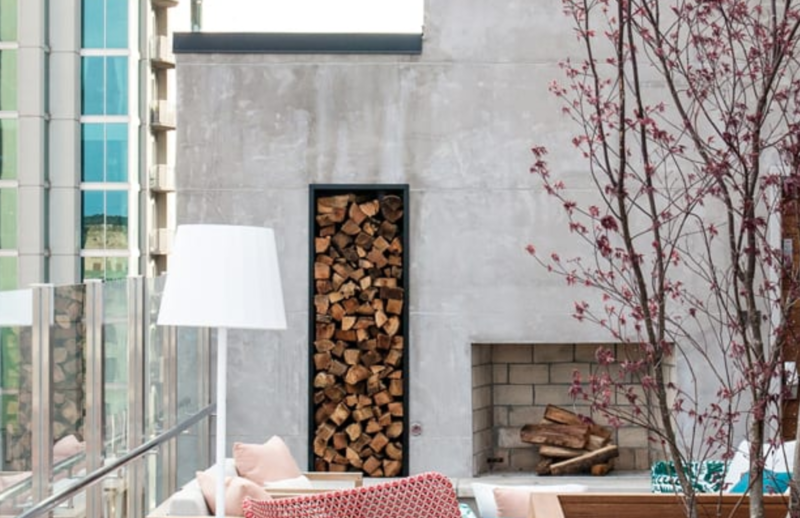 Like we said, we LOVE pretty spaces so we typically only write about spaces that are beautiful in our guides. They also have a Champagne garden. Yes, you read that correctly. 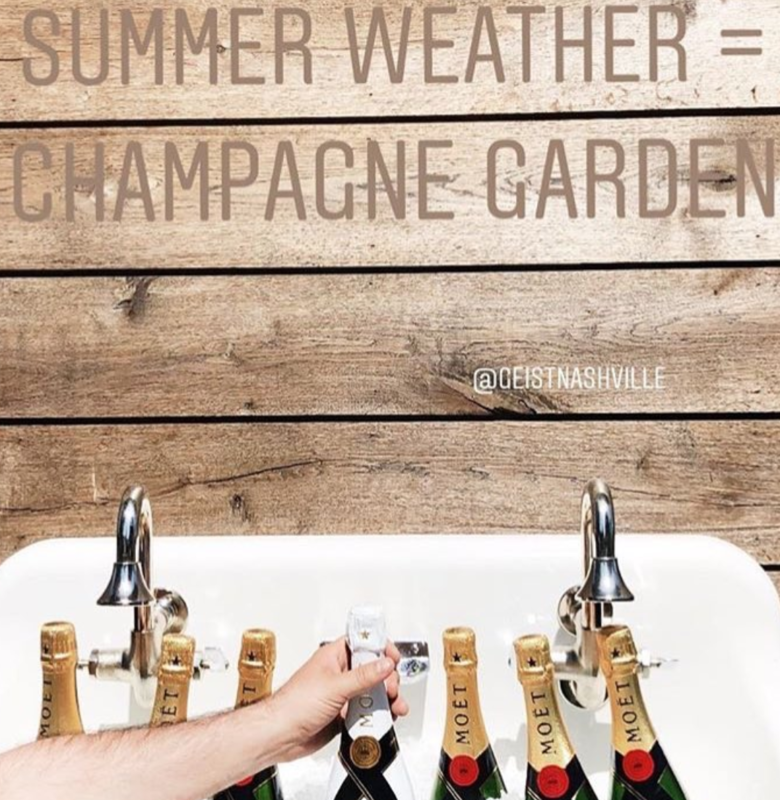 What is a champagne garden? Let me tell you. This is open year round- outdoor area where you can pop the bubbly to celebrate your bride to be in style. So if you are in the mood for good food, good ambiance sitting outside and some champs - get on over here, ladies. This is not in downtown Nashville but I loved it here too. It was recently opening when I was last out in Nashville scoping out the scene. Hope to head back here soon. If you want a cute outdoor area with strong drinks, you should get an uber or lyft over here. It also gets you out of the main downtown area in Nashville so you will be happy you got to see some other areas of this cool town. This place is done with tropical flair and has the best tropical drinks in Nashville. I have always had a great time spending time at this bar/restaurant. The people here are always awesome and there are so many cool drinks to try. So wander outside and spend a couple of hours sitting in the sun or if at night sitting under the stars. This is a perfect spot to come wearing your flower crowns from a workshop with us. 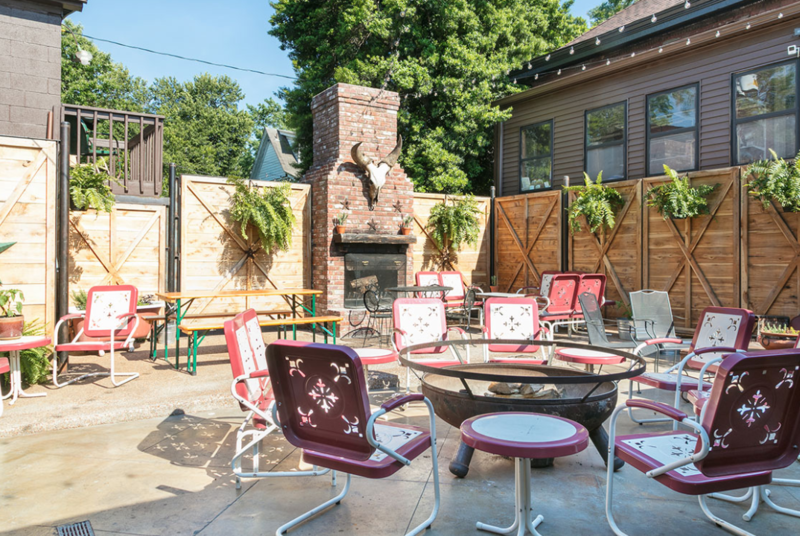 There are SO MANY outdoor patios in Nashville that it is super hard to pick our favorites. I have definitely left off a few here but that will make it more fun for you to tell me what I am missing. 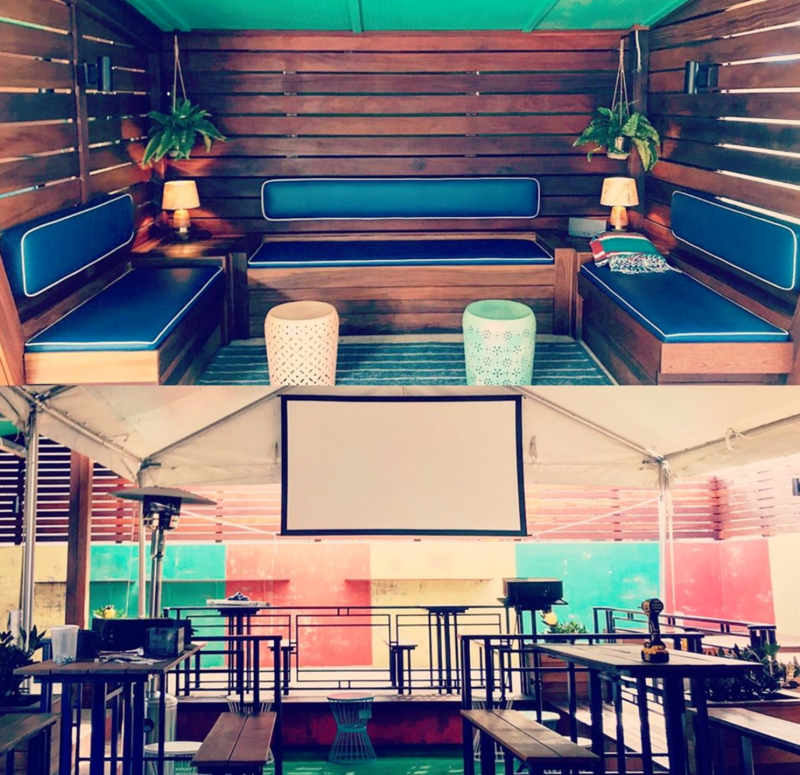 We picked our favorites based on look and ambiance but just remember really anywhere you go will likely have an outdoor option for you to sit at and have some day drinks. 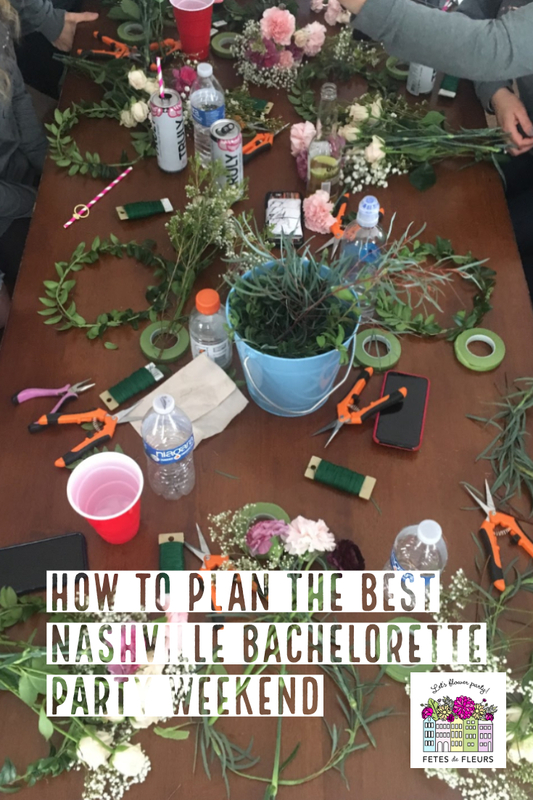 We hope you will consider doing a flower crown workshop with us for your Nashville bachelorette party. We come to your airbnb or hotel and setup our signature flower bar for your bride tribe. We then will teach your whole group how to make flower crowns and help you do it. It is a fun, girly activity where you learn a new skill and we do all the work for you. You just have to schedule the floral workshop with us and we will come to you with all the fun to be had! 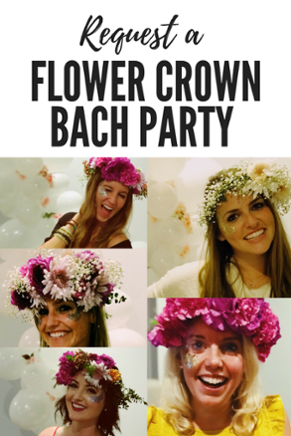 You can request a Nashville flower crown party here with us! We hope to flower party with you on your NASH BASH, ladies! 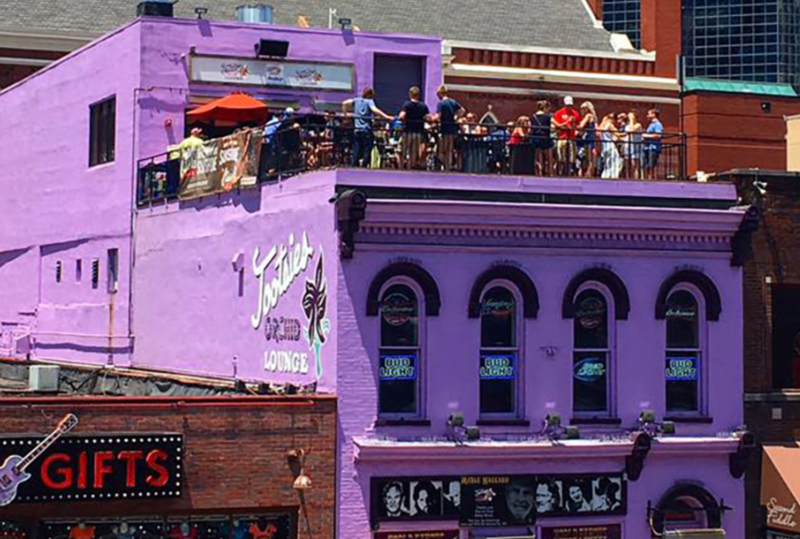 Nashville has some amazing rooftop bars that you can spend your time at before heading out for the night out on the town hitting up the honky tonks. Or maybe you want to head to a roof top bar at night so you are under the starry sky drinking drinks over looking downtown. Or maybe you want to drink and sip on some day drinks at a rooftop pool? 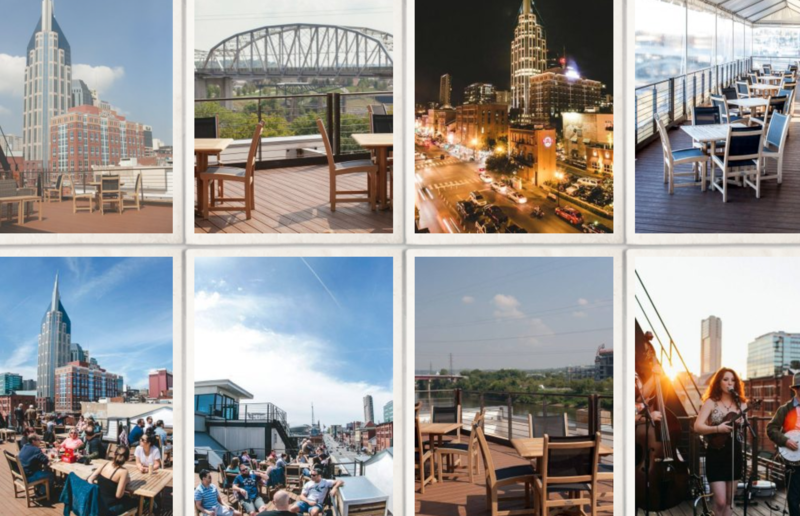 There are options for every bachelorette party visiting Nashville if you want to spend some of your weekend on a Nashville rooftop. 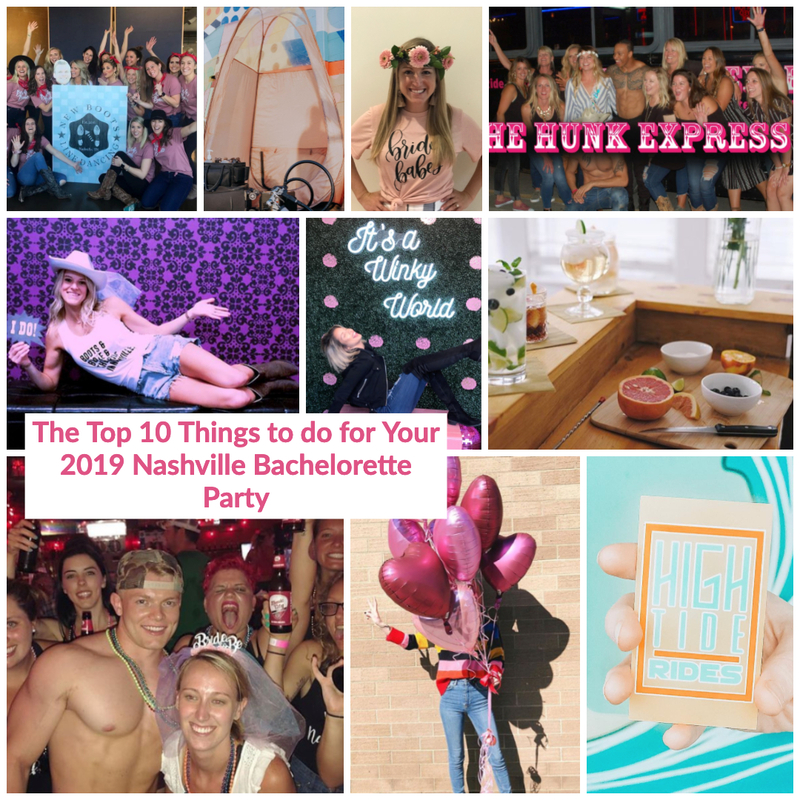 If you want more recommendations on things to do and what to eat, see and do in Nashville for your bachelorette party head over to our 2019 Guide to a Nashville Bachelorette Party here. This place constantly blows us away and bachelorette parties love it here. There are 2 floors here with a rooftop outlook. This is a good place to come if you want to grab some food (order at the counter) then grab a seat to chill out. If you want a more relaxed vibe overlooking the city then head to the 2nd floor deck. You can check out their insta page here to get all giddy for your bachelorette bash in Nashville. Every time I head to Nashville it is hard to not be told to visit here for a rooftop drink. One of the best things you can do while in Nashville is make sure that you take advantage of the rooftops. The weather is typically spot on and having a drink on a roof overlooking a beautiful city like Nashville doesn't hurt either. 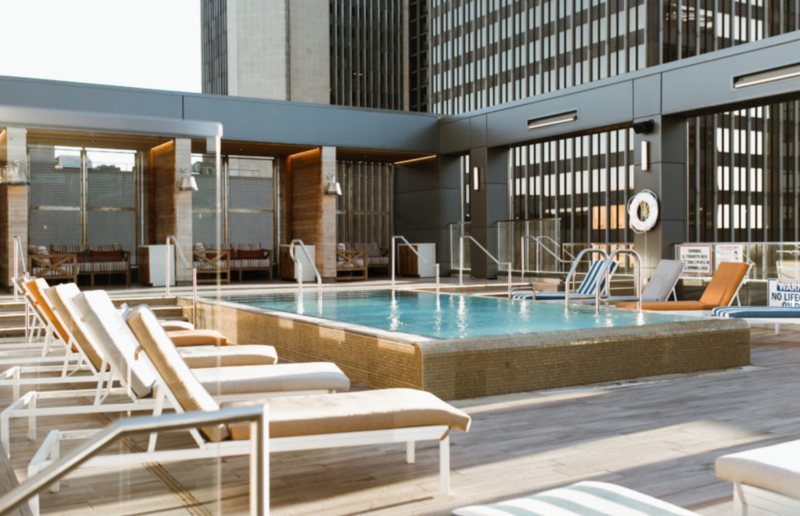 Twenty-seven floors high above Nashville’s bustling downtown, L27 is the city’s ideal retreat to unwind, sip, and, savor. For parties of 6 or more you might want to think ahead and book a cabana or table on opentable. Okay, ladies...please take some time and make sure you put this on the top of your lists! This is at the top of a favorite hotel of ours in Nashville called the Noelle Hotel. It is so CHIC and pretty. I could live here and spend my whole weekend up on the roof. Might be a great option if you are wanting to get hotel rooms for your bachelorette party too. So stinking pretty up there. The last trip that I took to Nashville I went up here and couldn't have been more pleased with the space. If you are into pretty decor like I am you will love this place. The inside area on the roof is HUGE and so is the outdoor space. You cannot go wrong visiting here as they have amazing ambiance overlooking the city as well as good bites and great drinks. This is also located in a hotel which we stayed at last visit called the Thompson Hotel. So once again, if you are looking for ease in where you stay with options for good food and drink close by this hotel might be for you. Just pop up stairs to the roof anytime you want to have a cocktail or two. Then head back down to your room for a cat nap before getting glammed up for your night out downtown listening to great music on your Nash bash. Another hotel rooftop bar. Sorry, but not sorry actually. Rooftop bars at hotels tend to be the best and prettiest ones. You have to stop in here while you are walking around Nashville. Or once again if you want to stay at a chic hotel then stay here. The Bobby Hotel is right downtown and probably like a year old. It is super chic, designed super well and super close (walking distance) to all of the Honky Tonks downtown too. I went here for breakfast (downstairs restaurant) and then popped into the rooftop to check it out. There was a bach party enjoying the beautiful sunny day at their rooftop POOL too. So ladies, if you want a chic space to stay at plus a rooftop pool PLUS options for drinks and food NEAR honky tonks...stay here. This one kind of hits two categories: a great rooftop bar in Nashville PLUS it is a HONKY TONK STAPLE. This is a Nashville legend that you have to step inside of at least once while in Nashville celebrating your bride to be or on your ladies weekend. You will feel so glad and happy that you did. Don't let crowds turn you off because this is a staple that everyone will tell you to check out while spending time in Nashville. There are lots of great outdoor options in Nashville. These are just some of our personal favorites. So make sure you look UP while walking around and I bet you will find lots of cute rooftop bars that didn't make our list here. 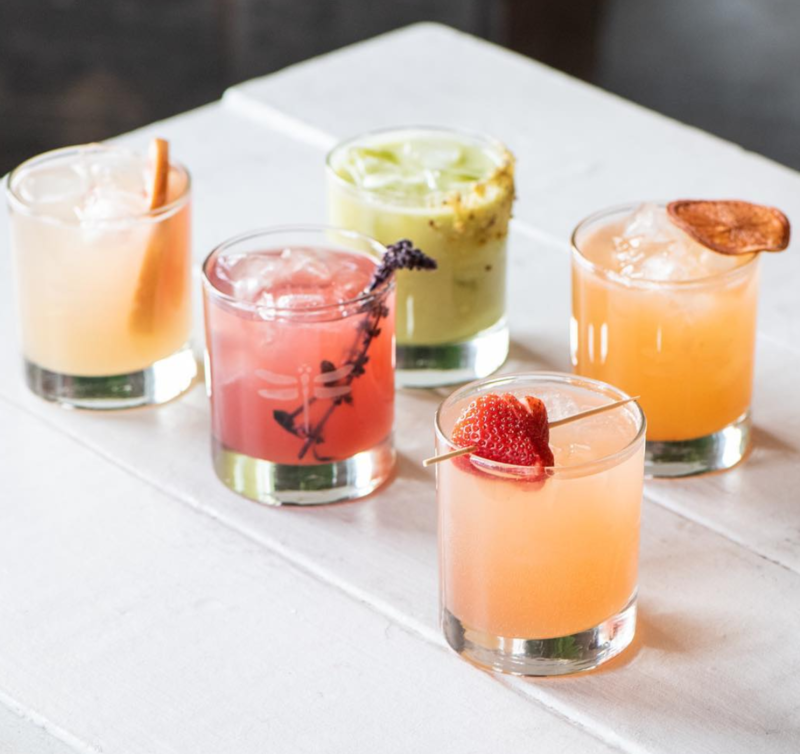 You will likely spend a sunset cocktail hour at one of these places before you head home from your Nashville bachelorette party weekend. Hattie B's is always a staple when visiting Nashville. Make sure you get there early because there will be a wait and a line. If you are looking to try "hot chicken" then you must go here while visiting Nashville. You will not be disappointed but just know that it might take some time to get in and finally start eating. You can check out Hattie B's on INSTA here. This place looks amazing! Just head over to their website to read up on all the southern foods they have. Everything from chicken wings to collards to bbq chicken. If you are looking for a cool spot to have some soulful southern food you might want to check this place out. They also have this cool outdoor area where you can take pictures against a painted green and white geometric wall. Any place with good food, outside area to sit in the sun and bask with photo ops is somewhere we know our bachelorette groups like to go. This is a true southern gem in a historical setting. If you are looking for real southern food then I would head to this place. Their motto is, "enter as strangers, leave as friends." We love that southern hospitality. They have a daily changing menu but expect to eat true southern food here like fried chicken, corn bread, etc. This is a true southern restaurant. This is a true Nashville staple. This was started by Rose and Jack Arnold in 1982 and now their kids run the place. This place has been featured in all the good magazines that write up about good food places. It has also been on Diners, Drive Ins and Dives. This is a true mom and pop southern joint. So don't expect anything fancy here. You will get true southern cooking here. Expect good, true southern food. You can check out their insta here. 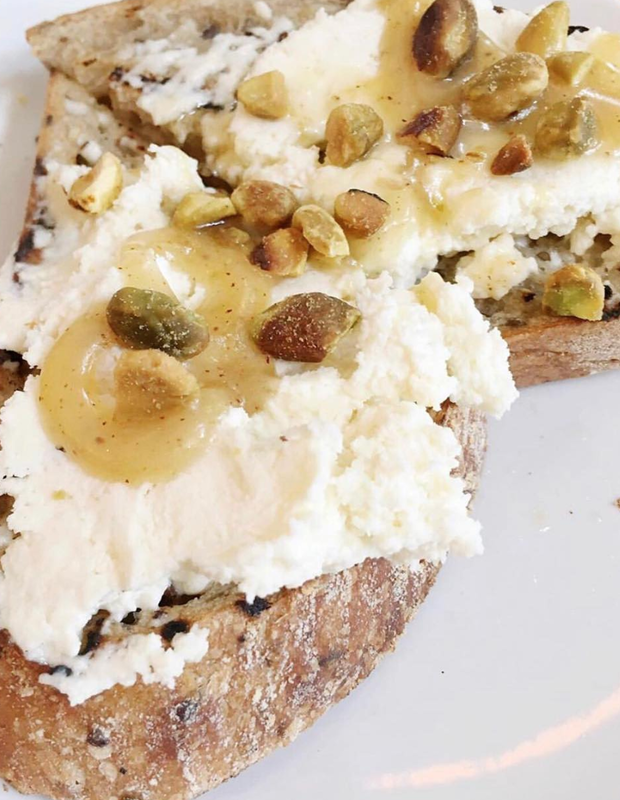 Mason’s offers soulfully-inspired fare. This longtime staple of the Nashville food scene offers guests a warm and inviting gathering place to share a drink, grab a bite and escape the hustle and bustle of Music city. They serve breakfast, lunch and dinner here as well as brunch. So depending on what time of day you are planning to dine here you can check out their menus and instagram here. Biscuit Love is one of my favorite places to go to in Nashville. I like the one in the Gulch area of town. They serve breakfast, lunch and brunch. I would get here early if you are going on a weekend and staying in the Gulch or maybe you are just heading to the Gulch to walk around that day - hit this place up. Eat the biscuits and buy some cute t-shirts too! Every Nashville bachelorette party needs to eat good food. 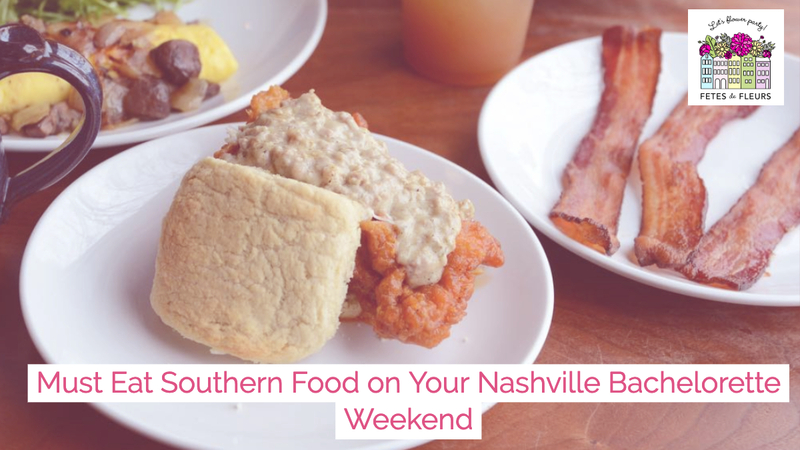 We hope these options for southern restaurants in Nashville help you as you plan your weekend dining. Tours in any city are a great option if you want to plan something to do one day to get a grasp on the new city that you are visiting. I personally love doing any jump on, jump off tour bus in a new city that I visit because you get to see a lot of the city from high up and learn more about each neighborhood while you drive around. Then you can hop off when you get the urge to explore that part of the city. They tend to be priced well too and you get a good bang for your buck while learning a lot about the city you are visiting. Our favorite Nashville Tours for a Nashville Bachelorette Party Group are Below. This company is one that I have used while in Nashville and other cities. I like them a lot, they are priced well and go to lots of different sections of Nashville. Check out their map of the areas in Nashville that they visit here. The trolleys comes every 20 minutes from lots of locations throughout Nashville. Instead of spending time taking ubers or walking everywhere this would be an easy option for an afternoon getting to know the different areas of Nashville. There are 15 stops around Nashville. If you are looking to experience the true history of distilling in Nashville then this tour might be the right one for your group. Your day will be planned through from start to finish. You can expect to have a great time on this tour visiting distilleries and drinking some mint juleps in true Nashville fashion. You will travel along the Tennessee whiskey trail and learn all about whiskey on this tour. If you want to see the Jack Daniels' distillery and other newest distilleries this could be perfect for your group. They offer a few different types of tours on their website here. They have a bourbon and BBQ tour where you will eat BBQ from some of the best in Nashville. Or maybe you want to head out to Maker's Mark or Jack Daniel's - they have those options for you as well. We think a flower crown workshop with a whiskey tour sounds like the best time ever. Check out their Instagram here to see some of their fun groups on tours to get you excited for your weekend in Nashville. 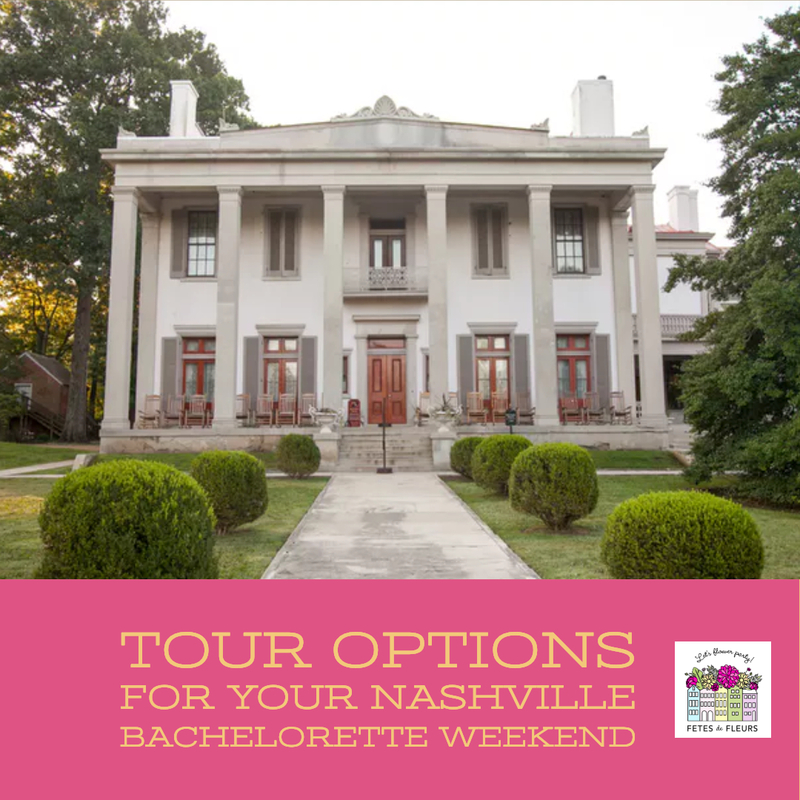 If you are wanting to experience something truly southern while spending your bachelorette weekend in Nashville - this planation tour might be for your group. If you head out to this plantation you can experience tours, wine tastings, and education about the south here. They have guided tours that you can take for a tour around the mansion and listen to the history of the plantation. Transport yourselves back in time and really feel like you lived in the south. They also have a restaurant on site if you want to eat lunch there or get a drink or two. You can learn more about their group tours here. Tour options range from the regular group tours to cheese, wine pairings tours to a culinary tour. Seems like they have options for lots of different kinds of groups. 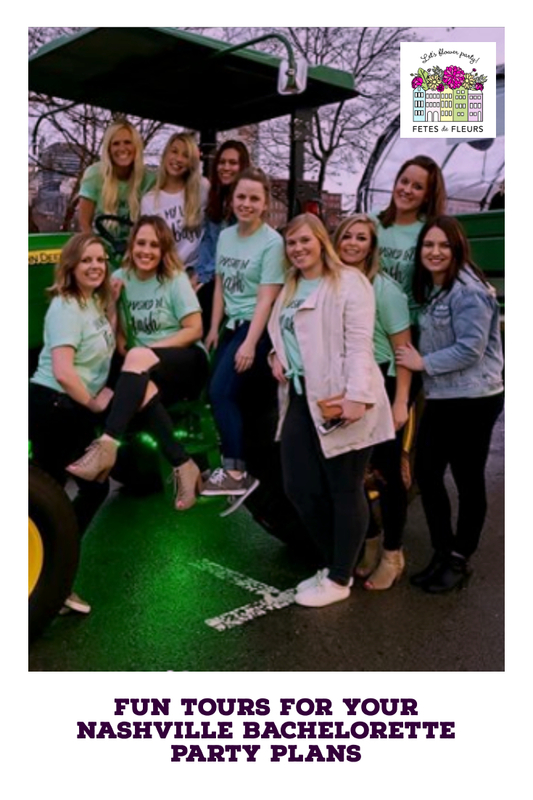 Their tours can take up to 25 people so if you have a big bachelorette party group this will be a fun option for you all. They will take you around all of downtown Nashville. Expect to see Ryman Auditorium and Broadway to the Gulch and midtown - all the way back to music row. 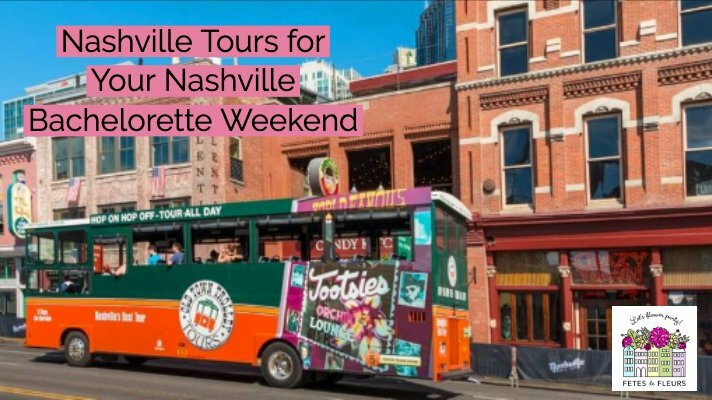 If you have ever been to Nashville you know that these tours are very popular options for bachelorette parties in Nashville. These tours are usually about 2 hours long which is a great amount of time- not too short but also not too long. It is a BYOB thing so feel free to bring drinks to start your partying off right. Check out the Big Green Tractor Tours INSTA here. This is Nashville's only pen air party bus tour. This is the ultimate bachelorette party on a bus. Expect to have a TON OF FUN experiencing Nashville in a fun, unique way riding around the city. There is a full service bar on board. Yes, you did read that correctly. These are also 2 hour tours. There is a large dance floor on the barge where you and your girlfriends can get down while drinking drinks in the sun. They have multiple routes that they can take you on as well. They do book up months in advance so make sure you check out their website for bachelorette parties here. You can also check out their instagram to see some of their fun parties in action here. 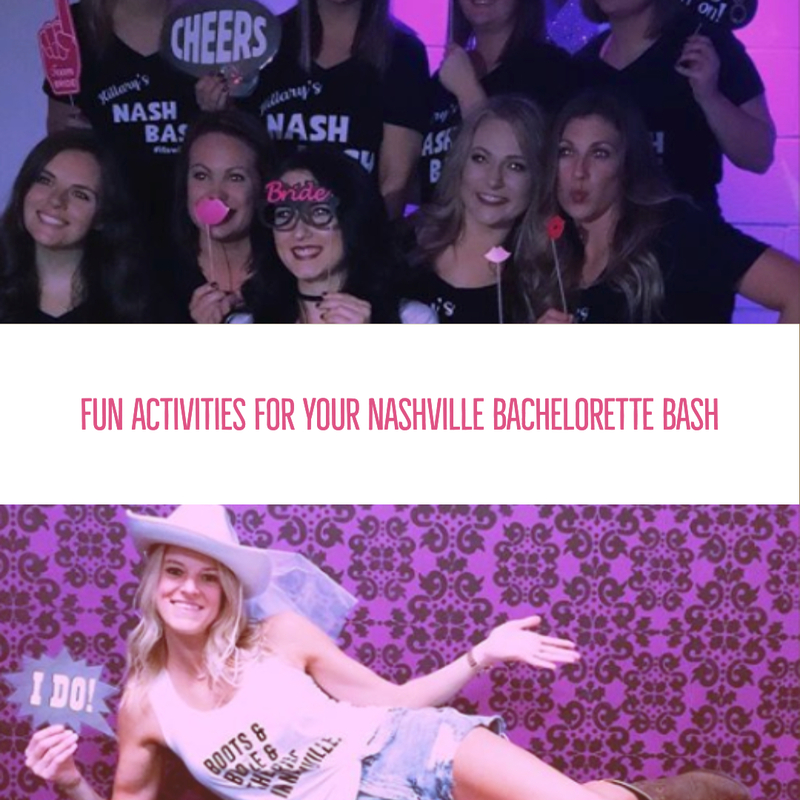 If you want some other fun ideas for your Nashville bachelorette party weekend make sure you check out our 2019 Nashville Bachelorette Party Guide here. 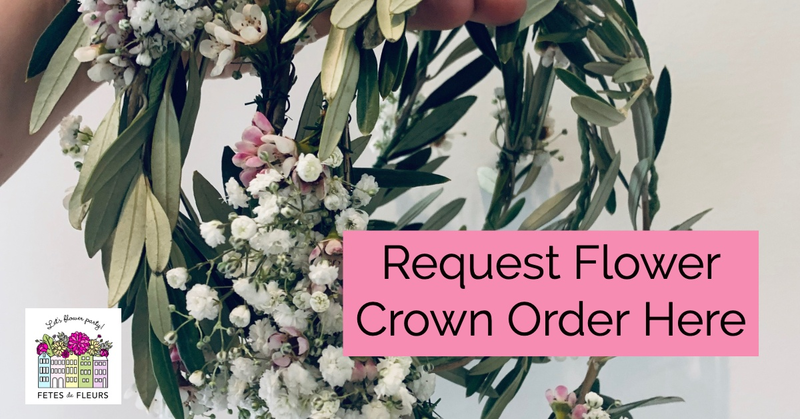 If you are in the process of planning your bachelorette bash in Nashville and want to learn more about our flower crown workshops you can reach out by emailing ali@fetesdefleurs.com or filling out a form here. You decided to spend your bachelorette party in Nashville! That is great news. You are going to have the best time exploring all that Nashville has to offer. There are so many fun things to do, things to see, food to eat, drinks to drink, honky tonks to visits, etc. You get it - there is a lot to experience while visiting Nashville for your bachelorette party. Everyone needs coffee. 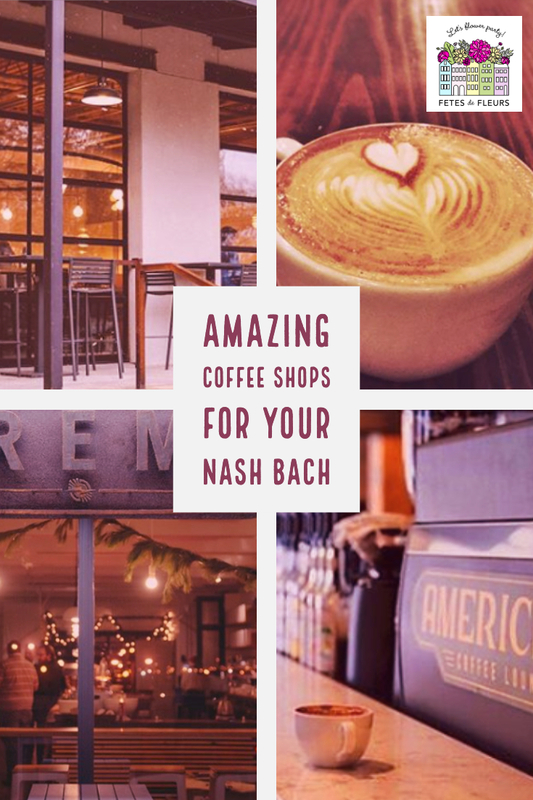 Whether you want to spend an hour grabbing coffee or just want to get a quick tea or coffee before hitting the town and doing whatever you are doing that day while exploring Nashville, these coffee spots are ones worth checking out. 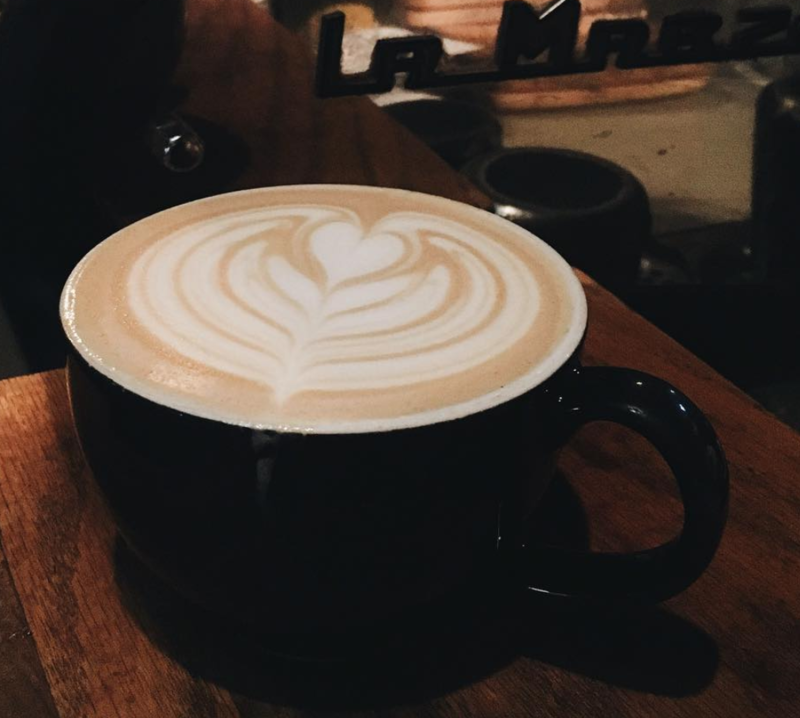 We tried to pick places that are cute to walk into and also have good coffee/tea options. They are in the Germantown neighborhood. Honestly, Germantown consistently is a place that I love to go to when in Nashville for a weekend. I think it is the most up-and-coming area of Nashville. You can walk to the cutest places like this one and just bop around. Everything is well considered here and they do things with great hospitality in mind. Check out their insta here. They not only have good coffee drinks and a cute, industrial looking space but also some great options for food too. Frothy Monkey is a TN staple. Any time I am visiting a city in TN people tell me to go here. I love this place for sure. I like the way it looks when you walk in and the food and coffee drinks are great too. They have a couple of different locations in Nashville for you to visit- downtown or in 12 South. You can check out their Insta here. They have 2 locations in Nashville. The Germantown one is their flagship store. They serve great coffee options PLUS crepes. Yes, ladies, crepes. So if you are in this area of town go check them out and eat some tasty crepes and get espresso-ed up. This is always recommended to me from people who live in Nashville and also always on maps talking about the hottest places to grab coffee in Nashville. I love this place. It is unique. They are putting a 1940's twist on coffee in Nashville. They serve lattes, espressos, and of course americanos. We hope you check this place out because you will have a great time here and be taken back to yesteryears. 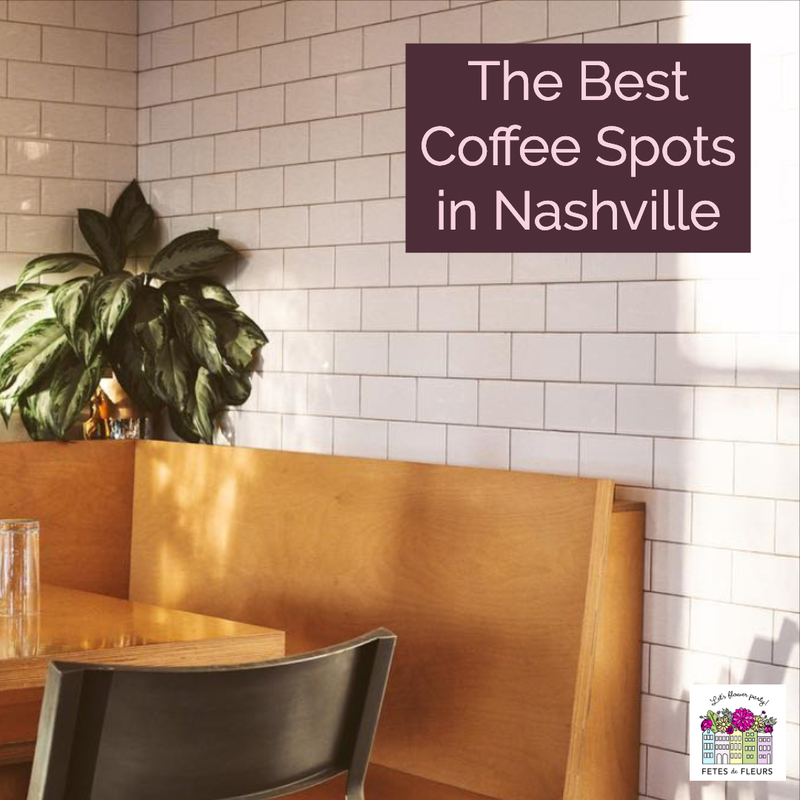 We are glad you stopped by to read up on our favorite coffee spots in Nashville! We hope this post was helpful. 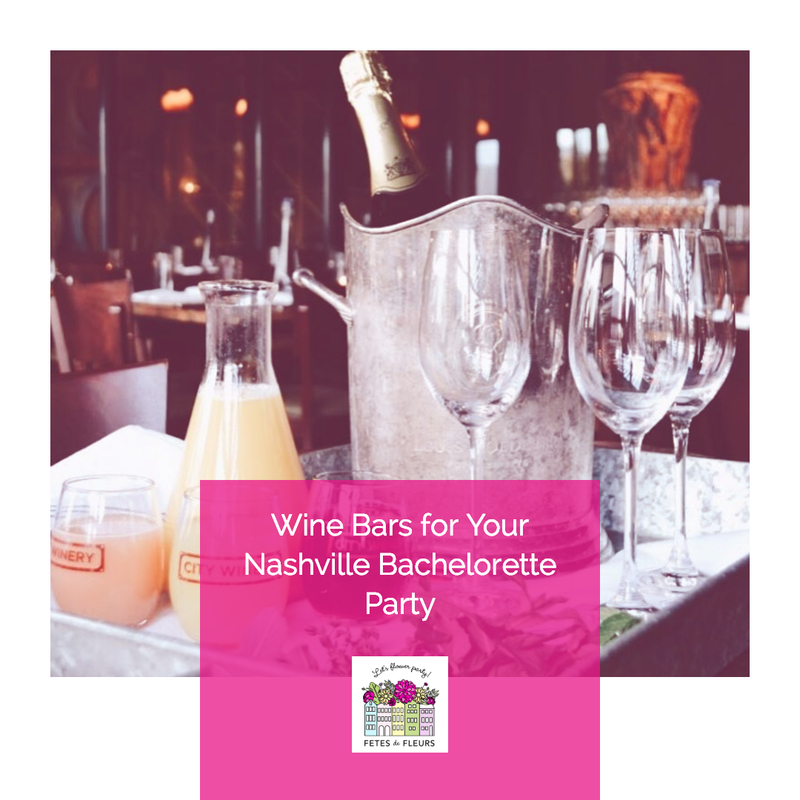 If you are looking for more fun things to do in Nashville for your bachelorette party weekend make sure you check out our 2019 Guide to a Nashville Bachelorette Party here. You know what makes for a really fun bachelorette brunch celebration: FLOWER CROWNS and PASTRIES and COFFEE. Okay, and add in mimosas or champagne with a flower crown workshop and you have yourself a really fun planned out breakfast spot for your bachelorette party weekend. If you want to learn more about how our flower crown workshops work you can request more information here. 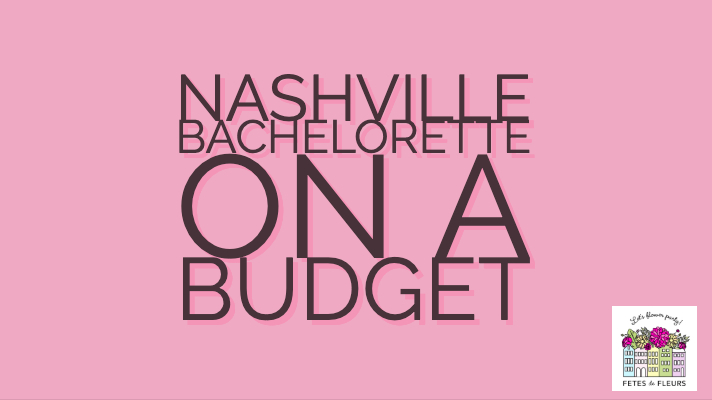 Make sure you check out our Bachelorette Guide to Nashville here. Every bachelorette party needs to eat brunch. It might be one of the most important meals of your day. 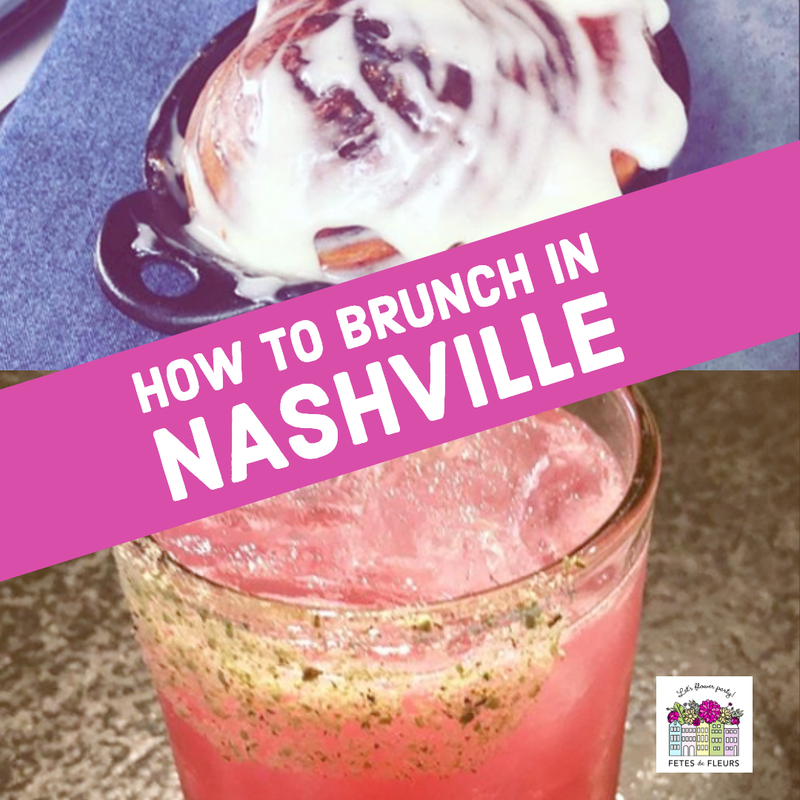 Brunch sets you up for a successful day of tours or activities on your bachelorette weekend in Nashville. It also is a great way to cheers the bride to be over some good southern food before getting after it later that night. There are so many fabulous brunch options in Nashville. 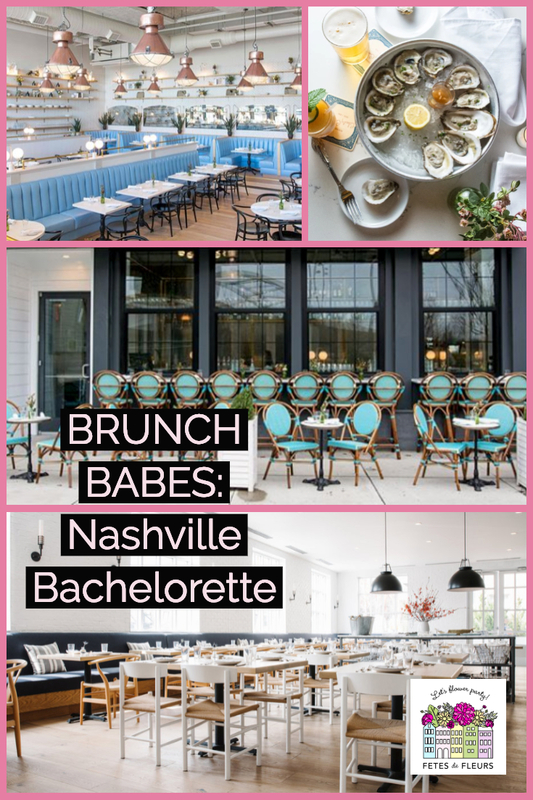 We listed out some of our favorite brunch spots in Nashville for a bachelorette party. This place is spectacular. We love good design here at Fetes de Fleurs so anything with a good ambiance and that has good design we are going to recommend. This spot is in Germantown area of Nashville. They have a cute bar, an oyster bar and also of course regular seating for you. Check out their brunch menu here to start drooling over what you want to order. Order the cinnamon roll and some monkey bread to start when you sit down. They have some really cute and great brunch cocktails to start too which we obviously are partial to. We have one of these in Charleston as well so we love coming here when we are in Nashville. You will never go wrong visiting any Butcher and Bee location because they are shabby chic and so cute. The food is also always so good and on point. Check out their Nashville insta here. We love getting a bunch of small plates over some rose. Perfect way to start a late breakfast or brunch. This place is ADORABLE. I am obsessed with the inside of this place. They have the most beautiful light blue decor with amazing rose gold pendants overlooking you as you eat your brunch. This is a southern brasserie on Riverfront Park downtown. You can get everything from fried chicken to waffles and biscuits here. Think southern dining done damn right in the best girly decor. Enjoy that bottle of champagne or two or three. 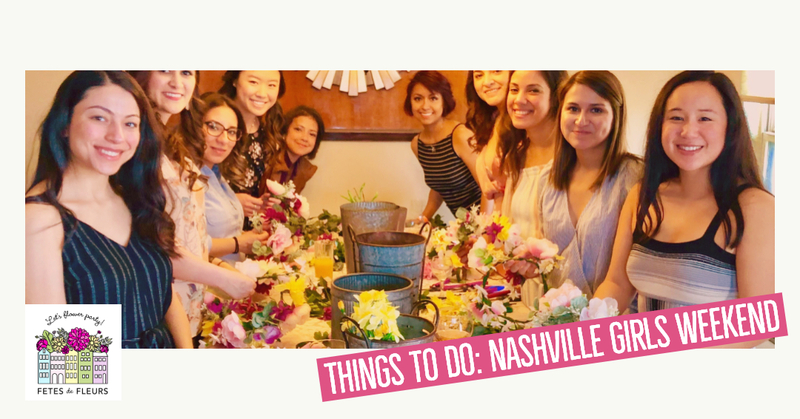 We think flower crowns with brunch in Nashville is the way to go for your Nashville bachelorette brunch plans. Check out the weekend brunch menu here. Another staple for 3 of our markets that we are. Husk is a staple in general when in the south. We highly recommend getting a reservation here if you can. So call ahead or check online if you are planning on wanting to make it to Husk. Husk is a southern food mecca so if you want to spend a brunch spot at one of the best of the best you will not go wrong here. I stayed at the Thompson Hotel on my last visit to Nashville. We love this place. If you love beautiful decor you will love checking out the hotel in general. It is also in the heart of the Gulch neighborhood which is a spot of town that you should walk around anyways while in Nashville. Their brunch is great but also would recommend stopping in here for lunch or dinner too. I loved the strawberry toast with whipped ricotta. You cannot go wrong here. They also have a cute outdoor spot on a patio and a killer roof deck too that you could hit up afterwards. 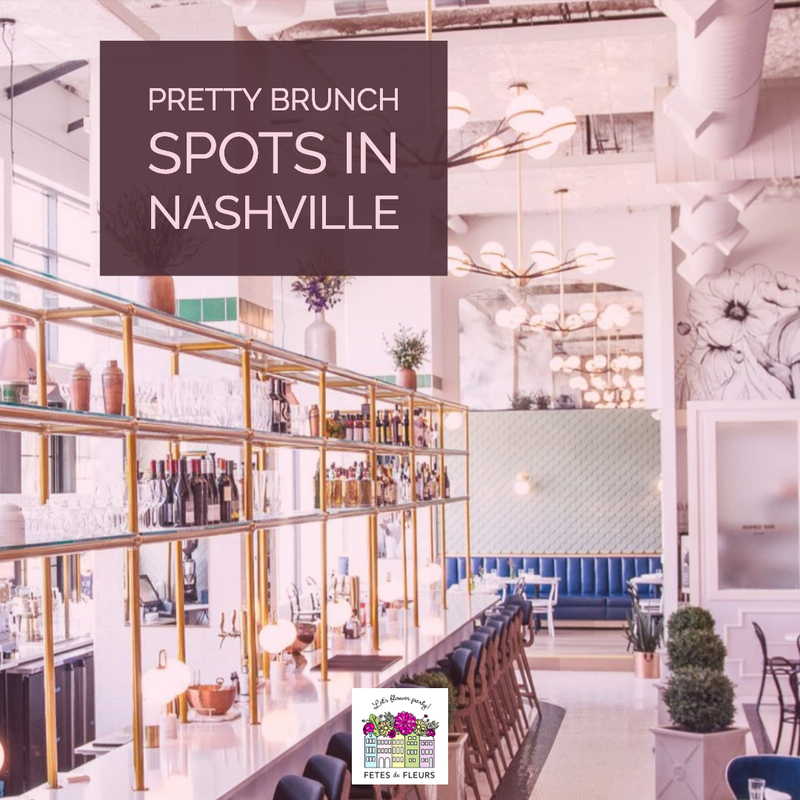 We hope this post about the best and cutest brunch spots in Nashville is helpful as you plan your bachelorette party weekend in Nashville. 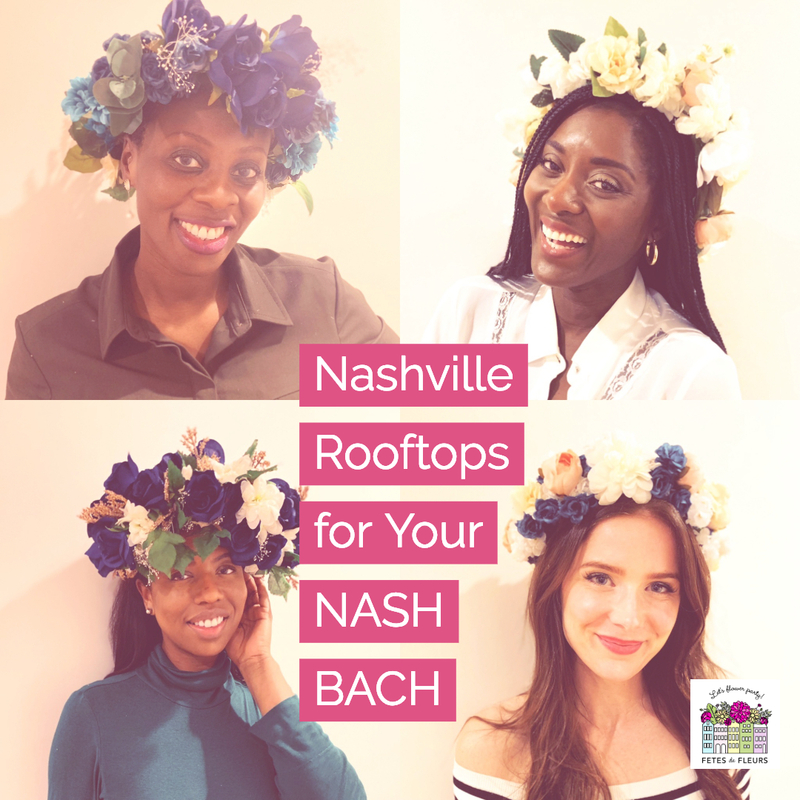 We would love to help you with a fun, floral activity on your bachelorette party weekend in Nashville with our flower crown workshops. 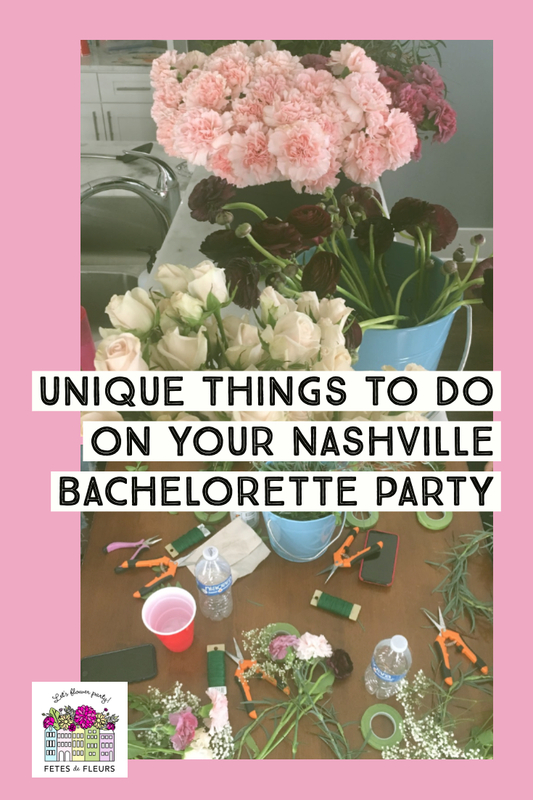 If you are looking for a fun and different activity for your bachelorette party weekend while in Nashville you can inquire about how our flower parties work here. We ill email you back all the information on how our floral parties work so you and your bride tribe can look it over. 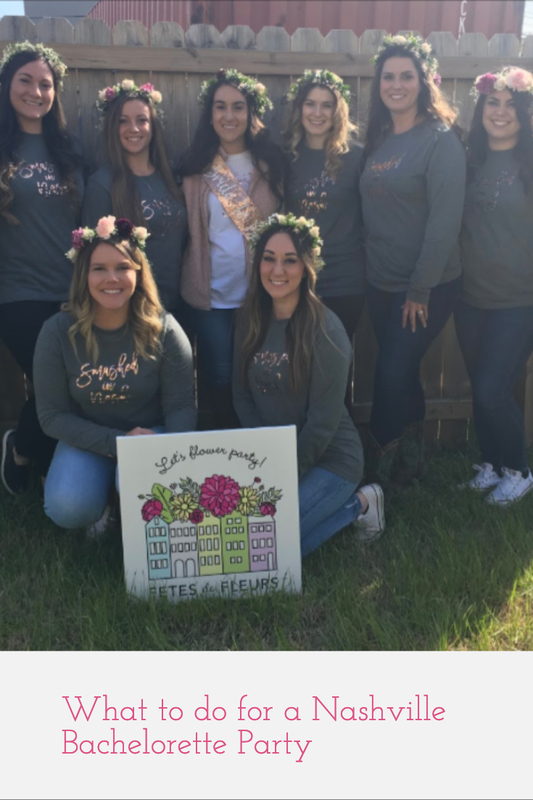 If you have any questions feel free to email us at ali@fetesdefleurs.com for information on our flower crowns or flower crown workshops for options on your Nashville bachelorette party weekend.